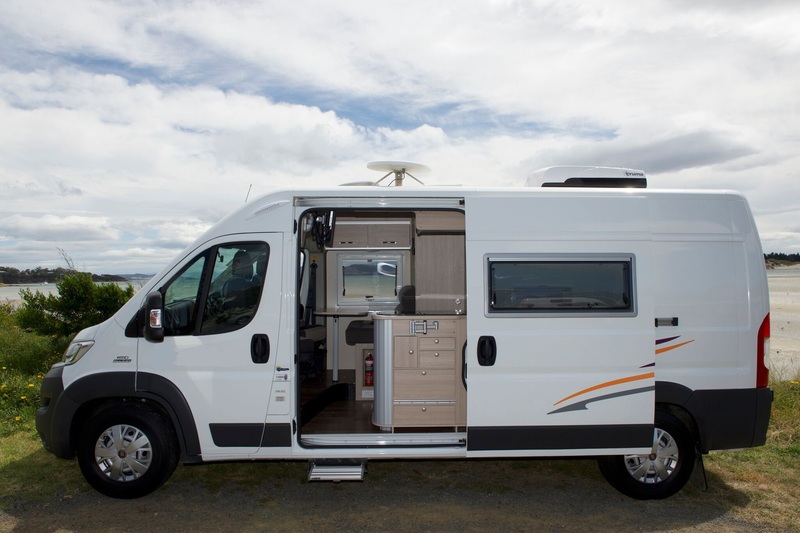 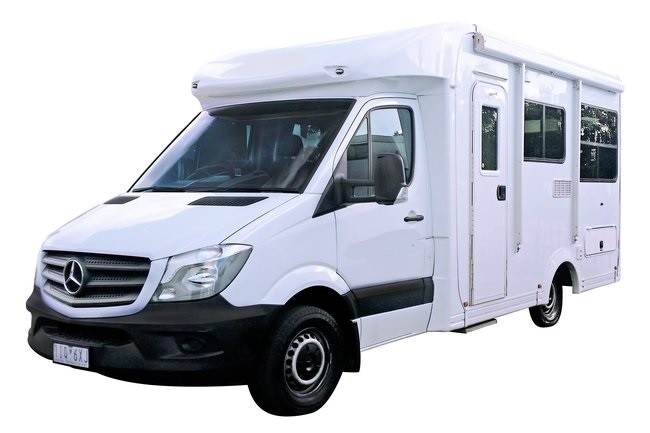 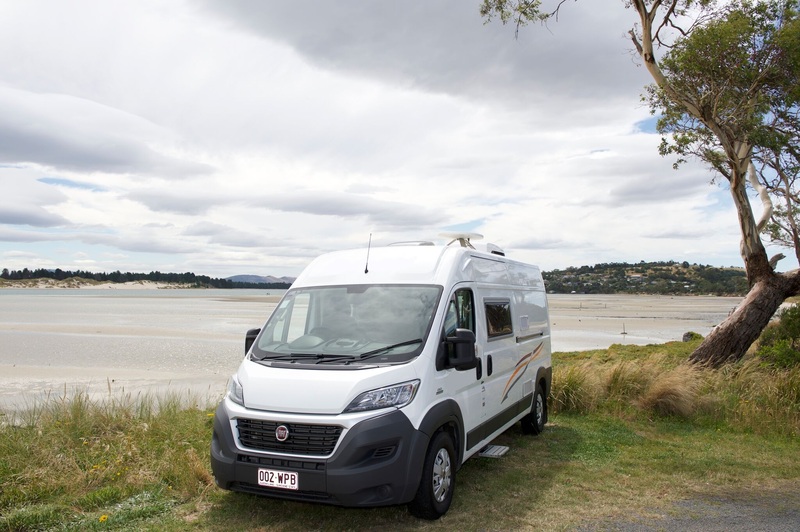 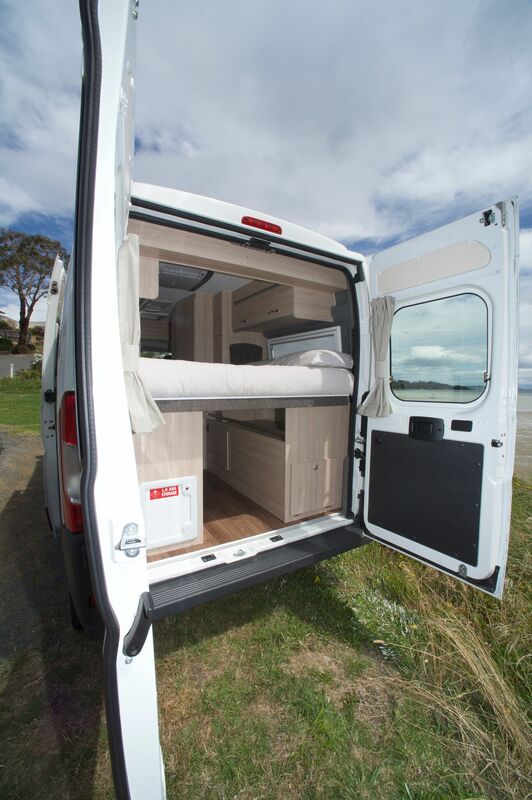 GetAboutOz partners with all the major motorhome hire companies, such as, Britz, Backpacker Rentals, Jucy, Around Australia, Cruisin’ Tasmania, and all others to be able to offer our customers the highest quality in motorhome hires, as well as, the best prices in the industry! 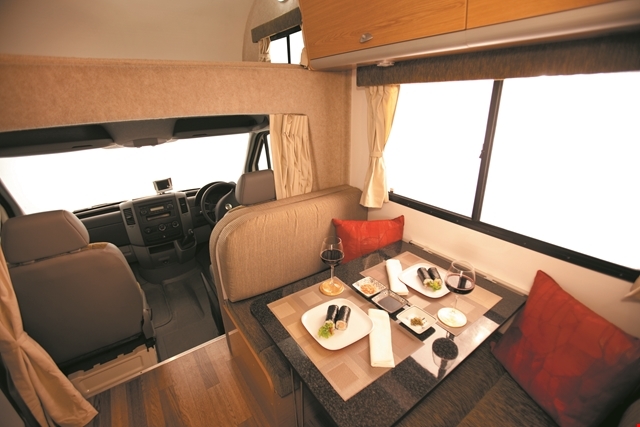 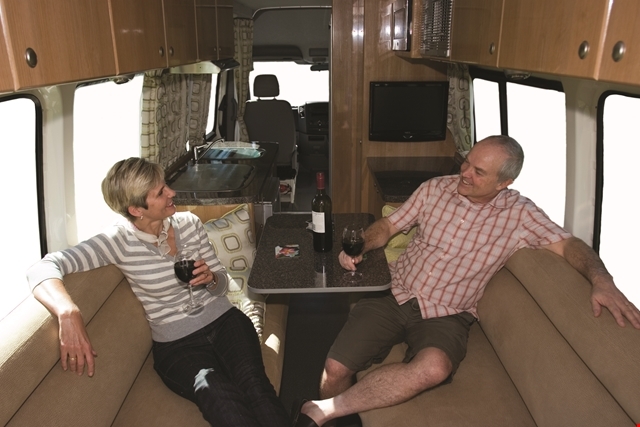 We have a wide range of choice of self-drive holiday motorhomes at the price you want to pay! 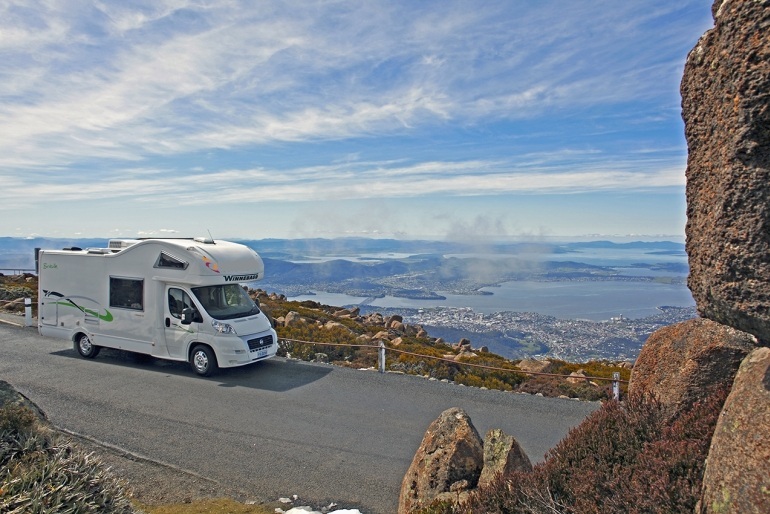 Australia is known throughout the world for its spectacular beauty and often called one of the “world’s finest playgrounds”. 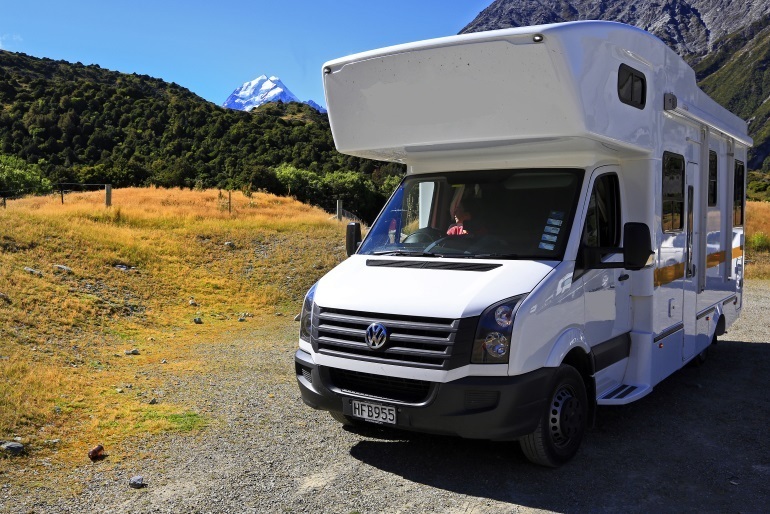 The terrain is spectacular and the attractions grand. 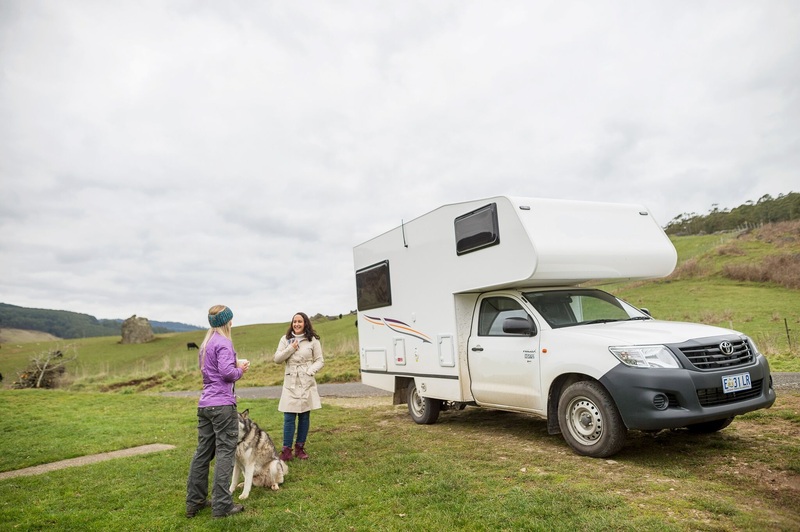 A self-drive holiday is the ideal holiday for all types of individuals from the outdoor enthusiast, to the history buff, to the city goer, and more. 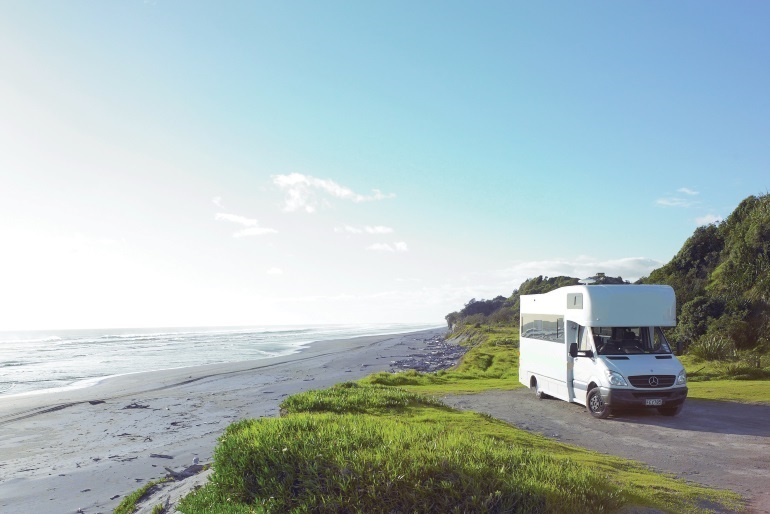 Australia has it all with wonderful arts and culture, spectacular beaches and water recreation, glorious mountain ranges, and pristine coastlines. 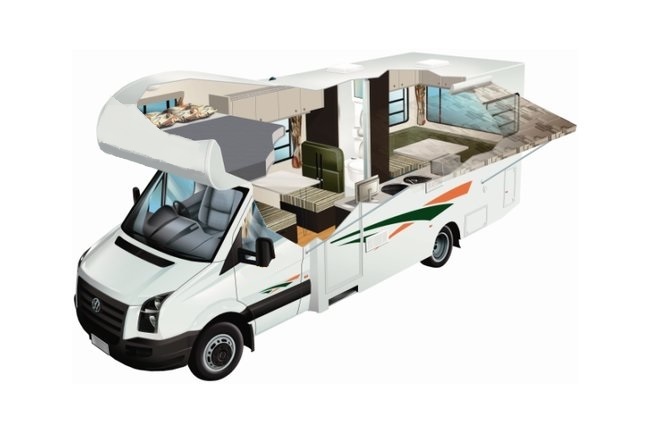 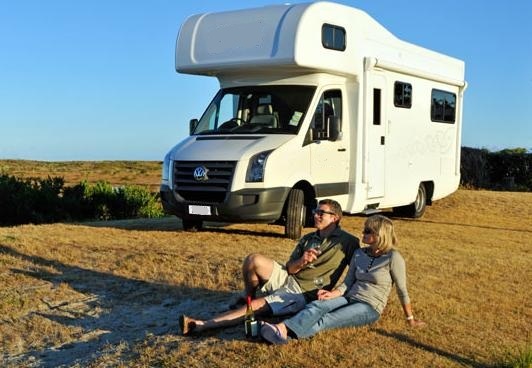 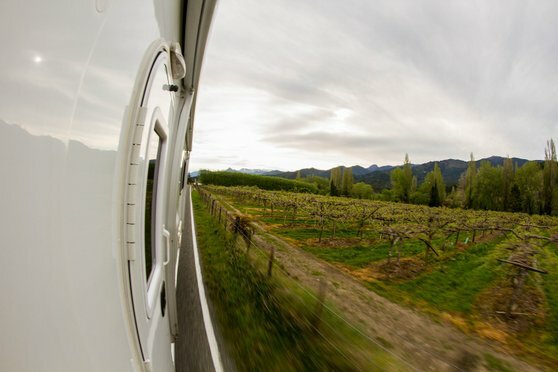 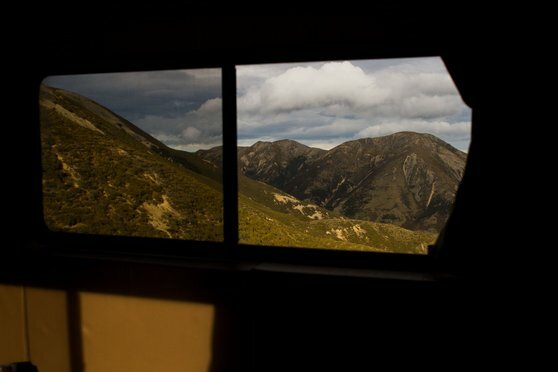 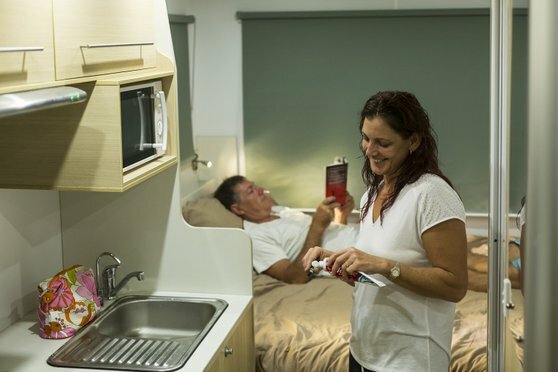 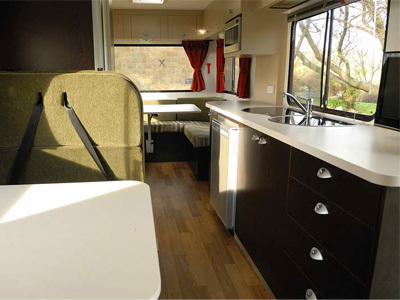 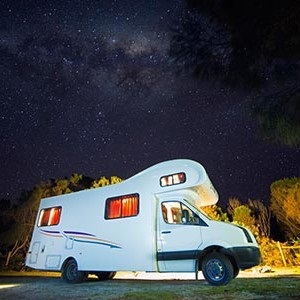 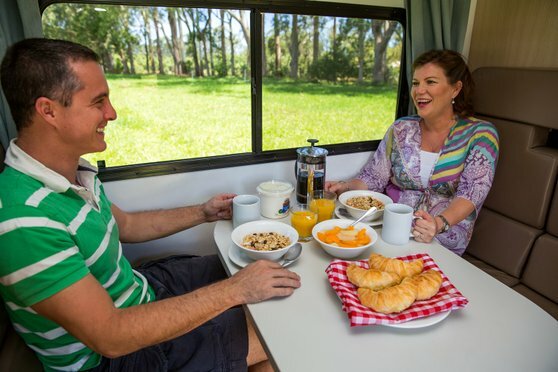 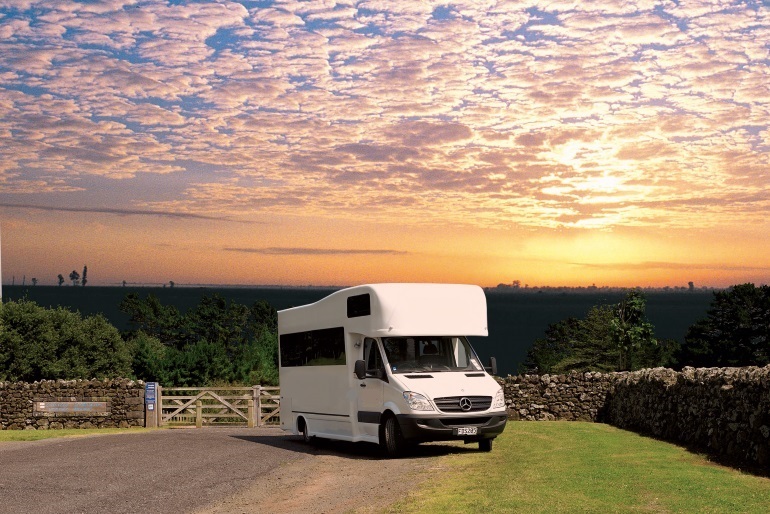 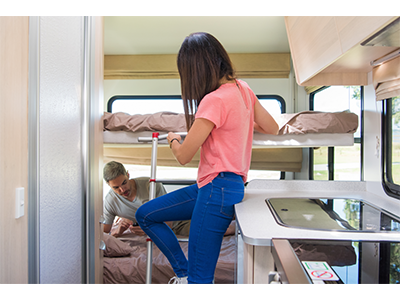 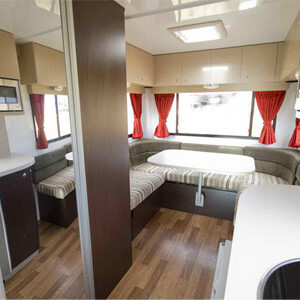 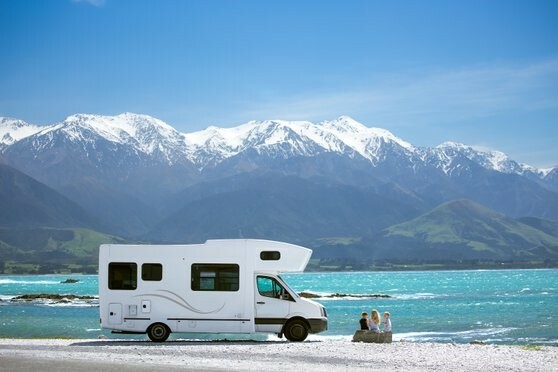 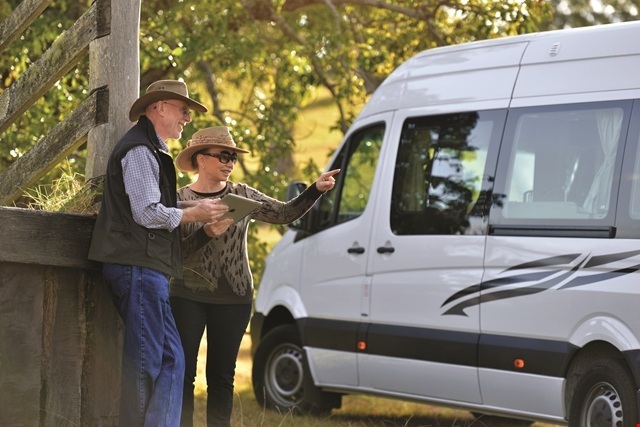 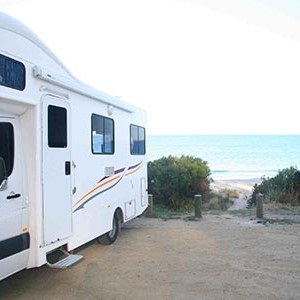 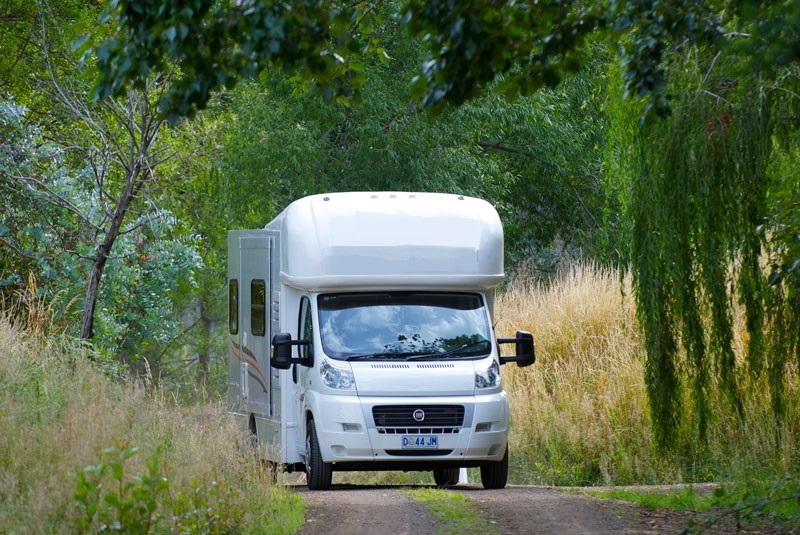 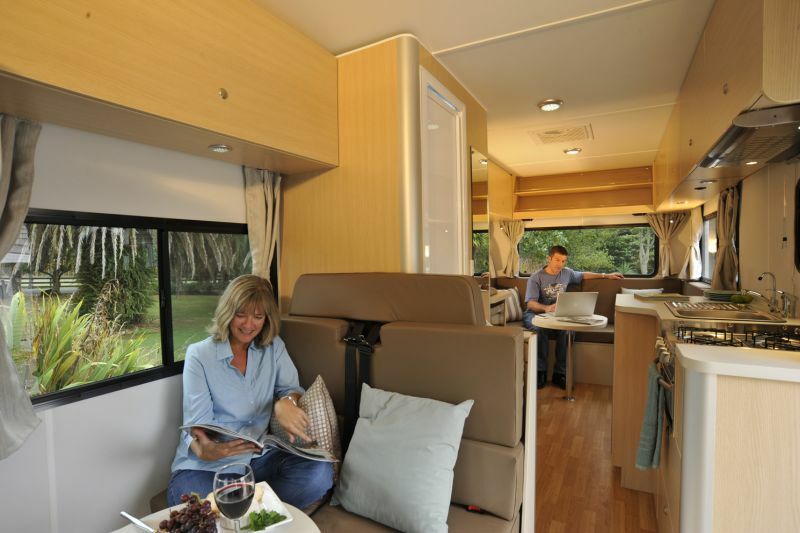 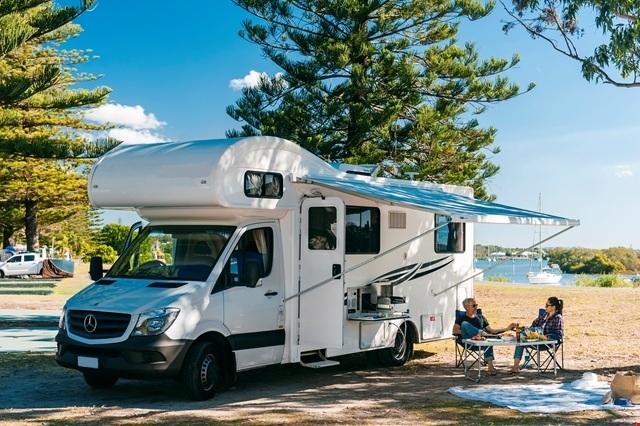 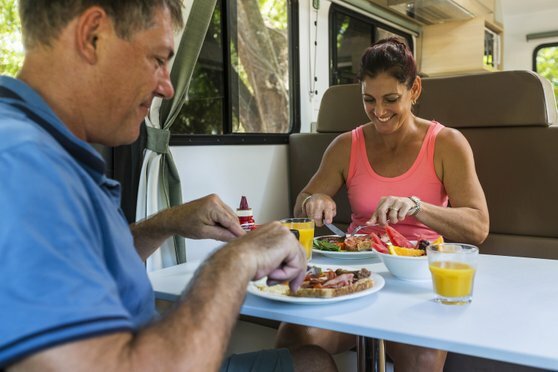 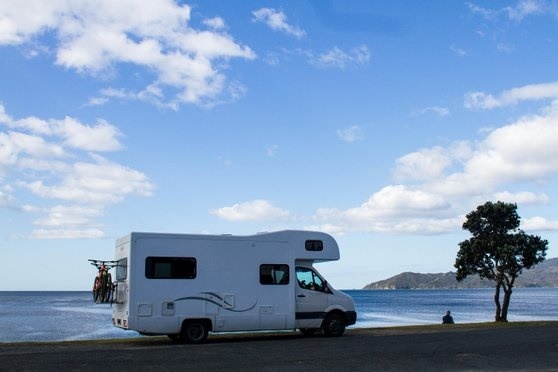 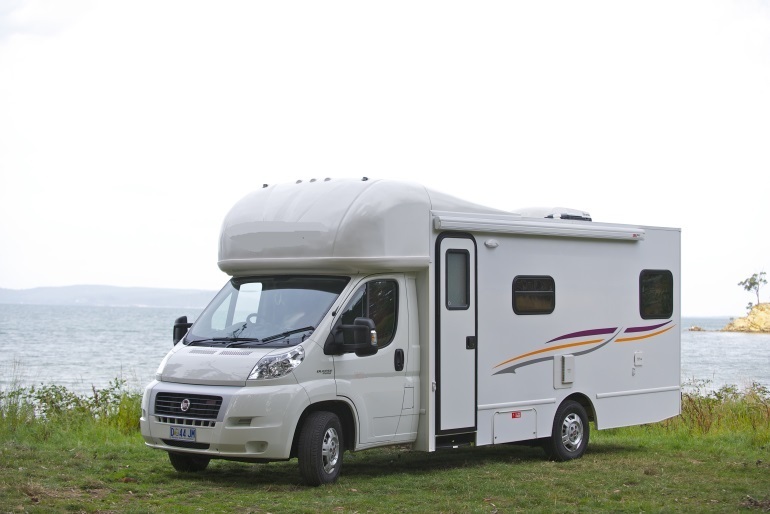 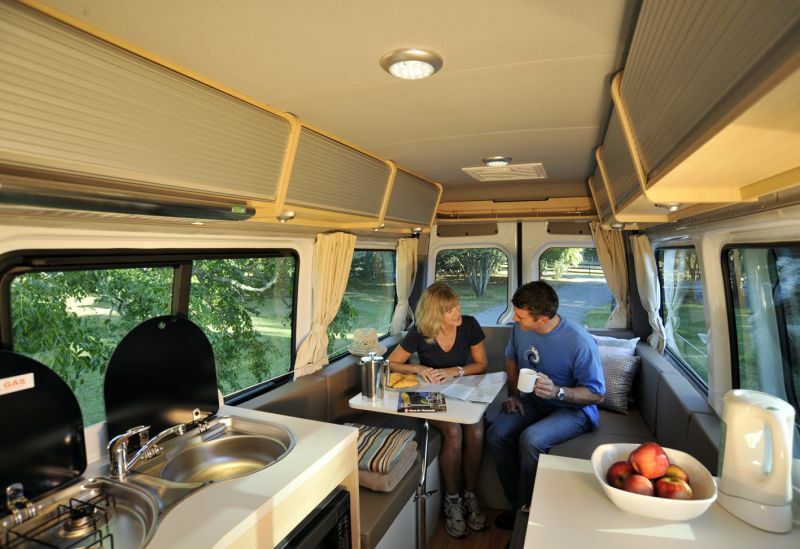 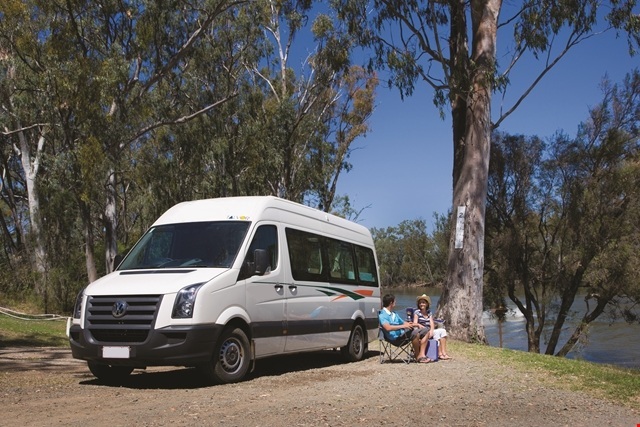 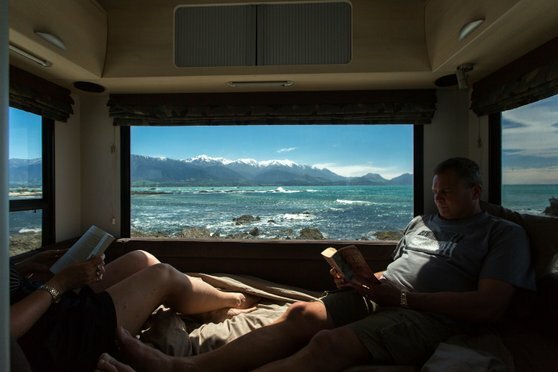 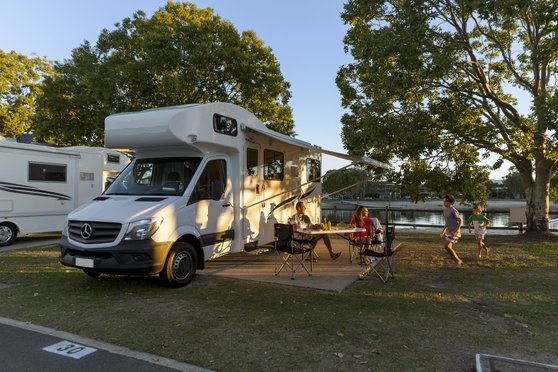 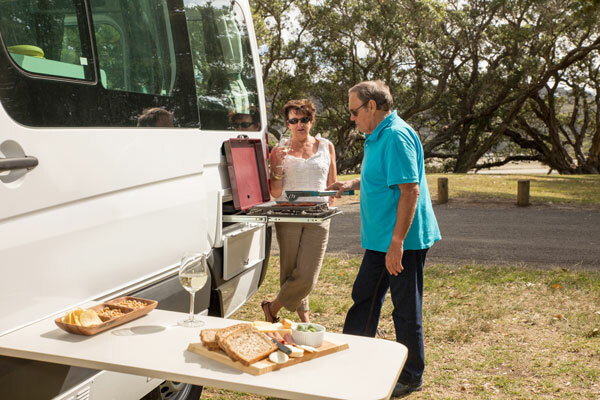 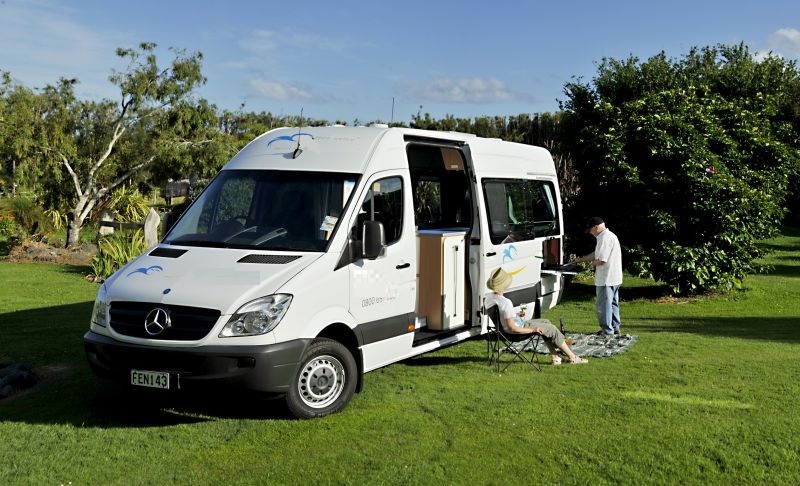 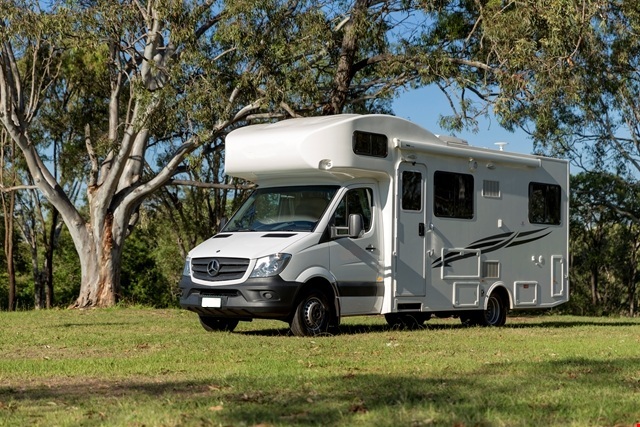 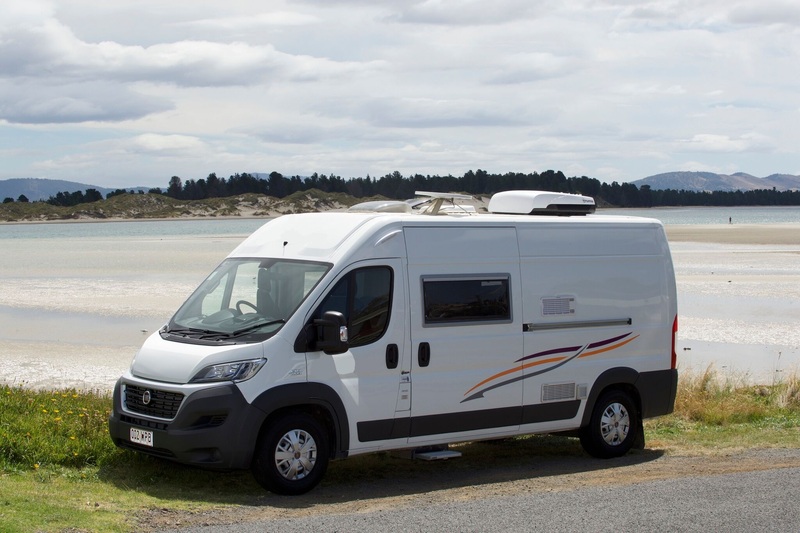 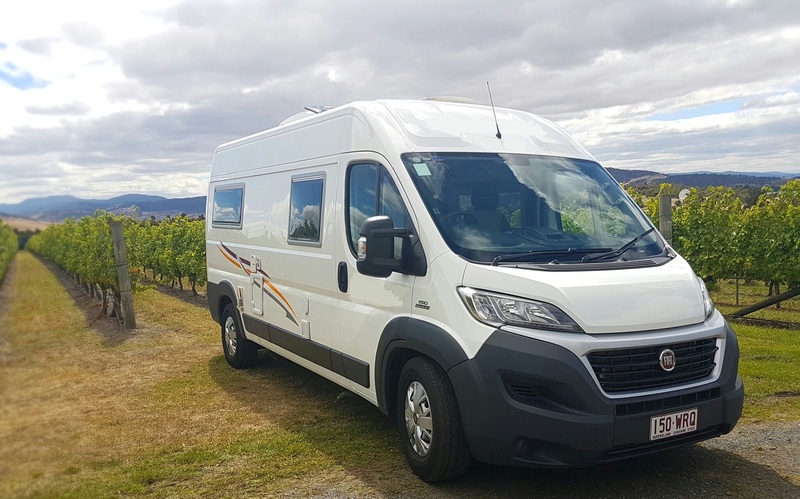 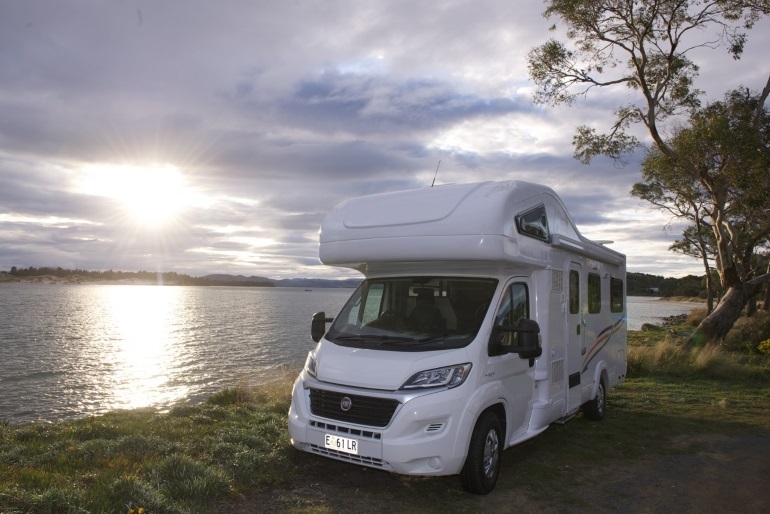 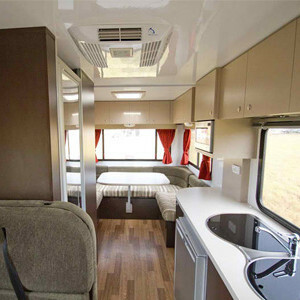 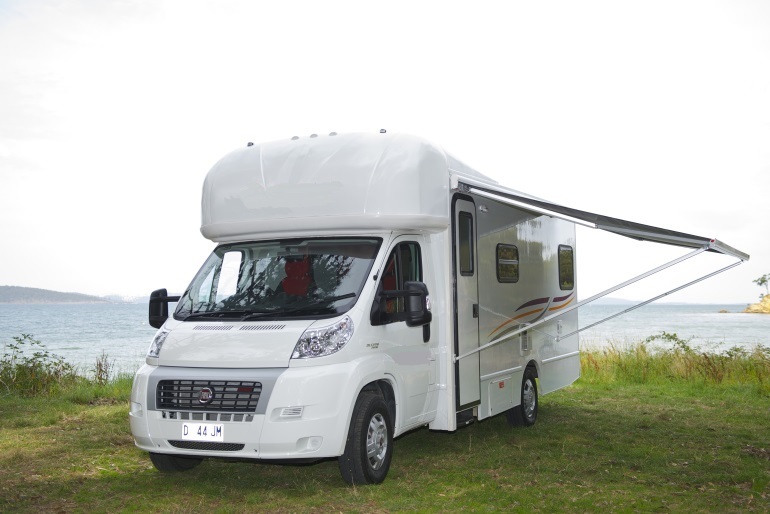 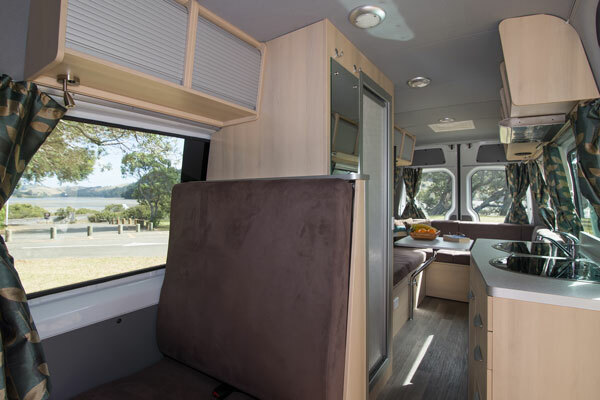 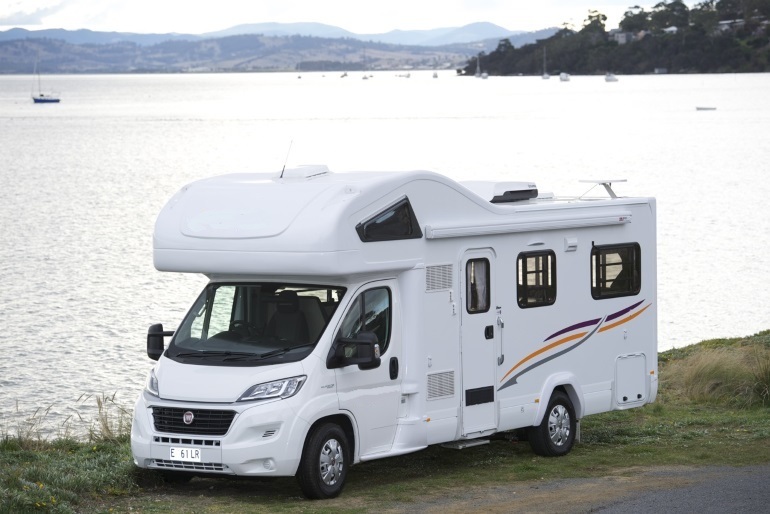 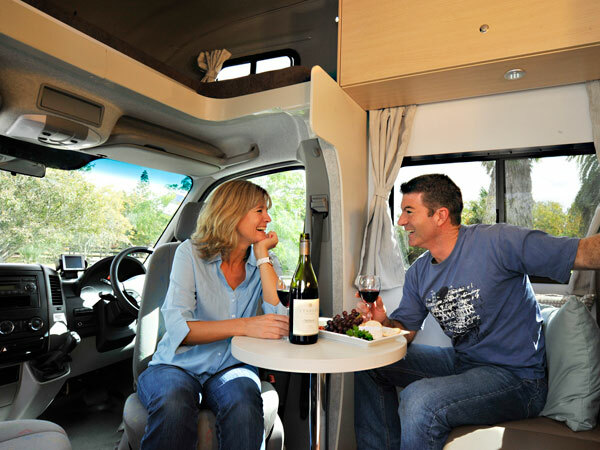 Whether off to enjoy the snow or the sandy beaches or the nightlife of the city, it is a holiday that is truly enjoyed in a motorhome hire Australia. 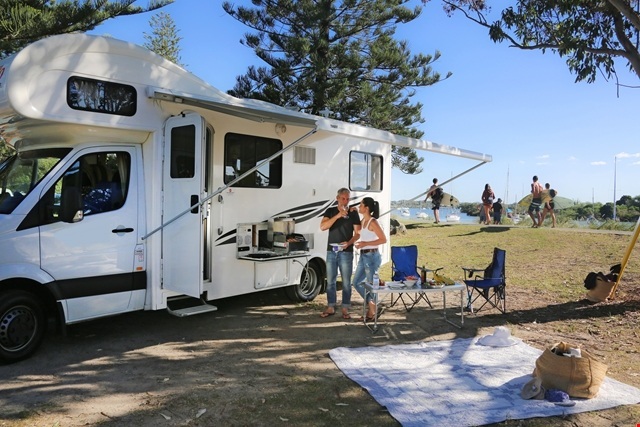 GetAboutOz offers both 2WD and 4WD motorhome retnal to allow you to enjoy both an on road and off-road experience. 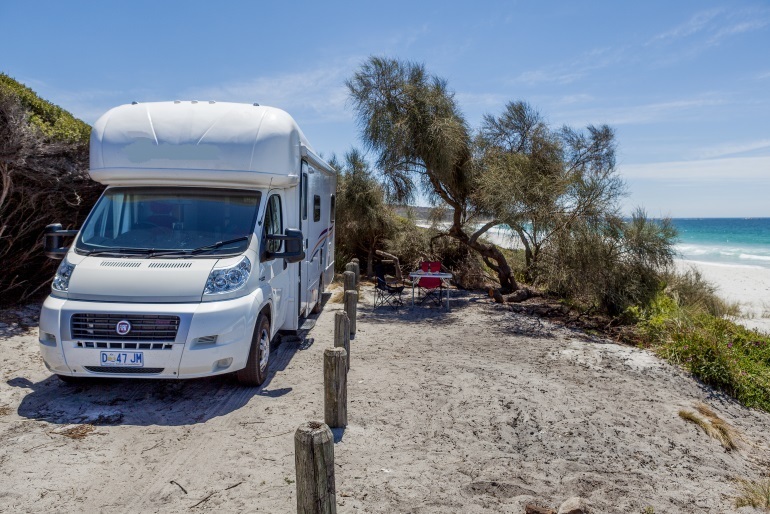 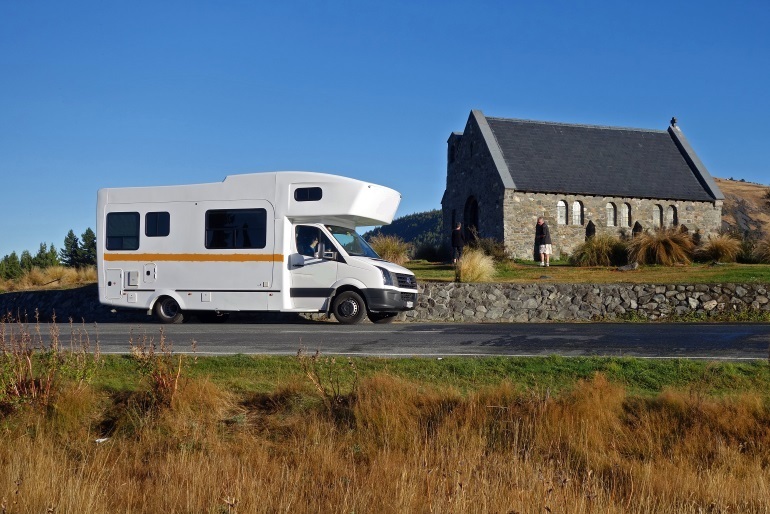 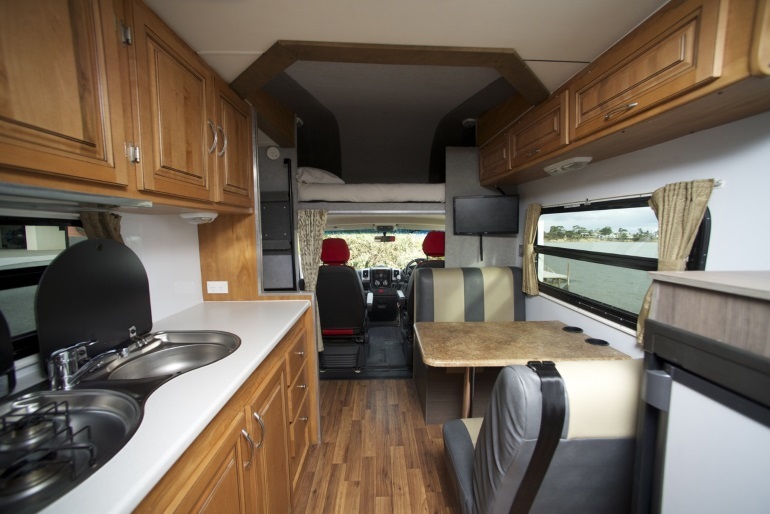 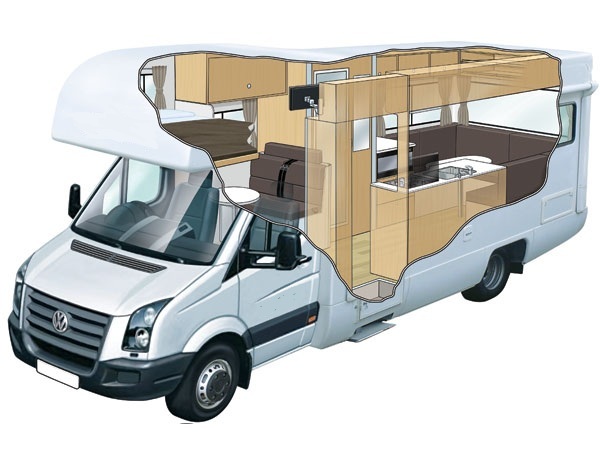 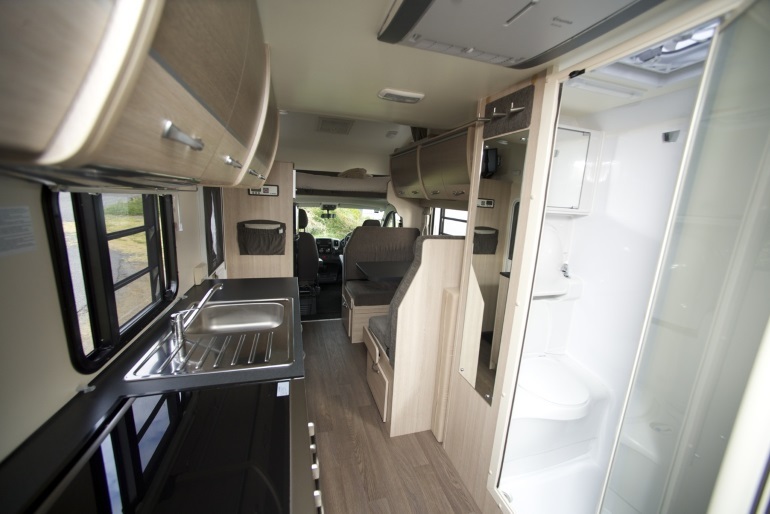 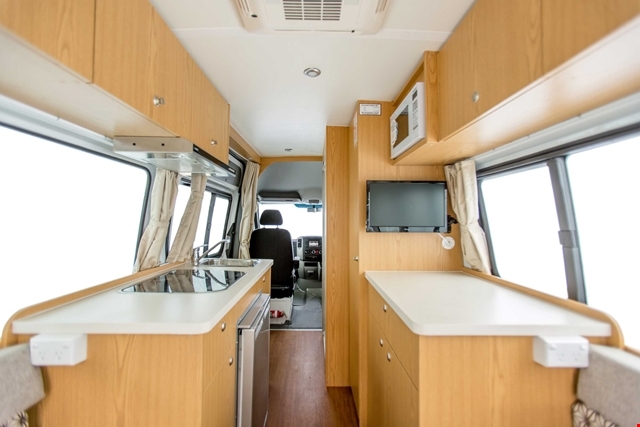 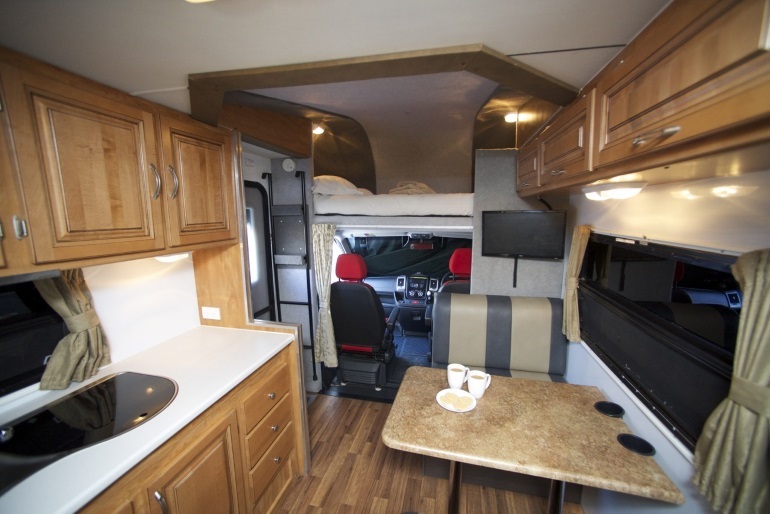 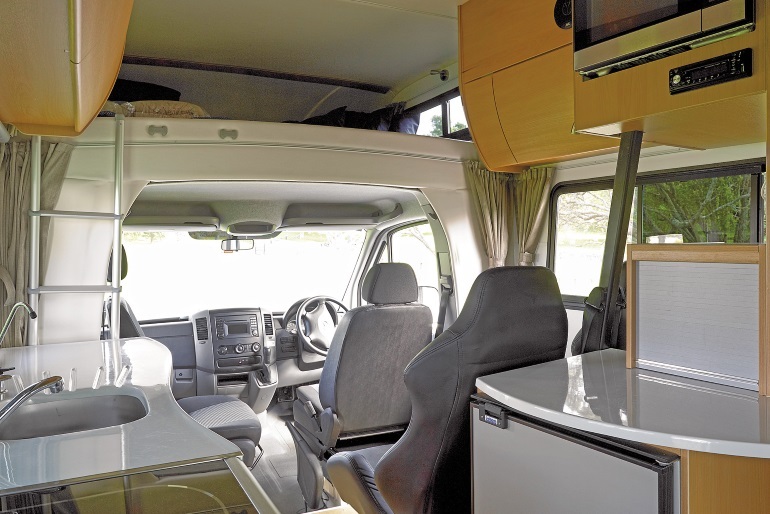 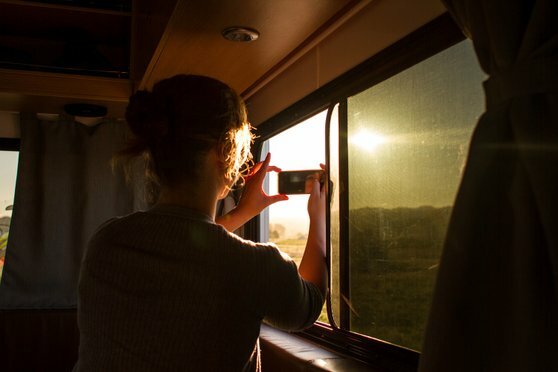 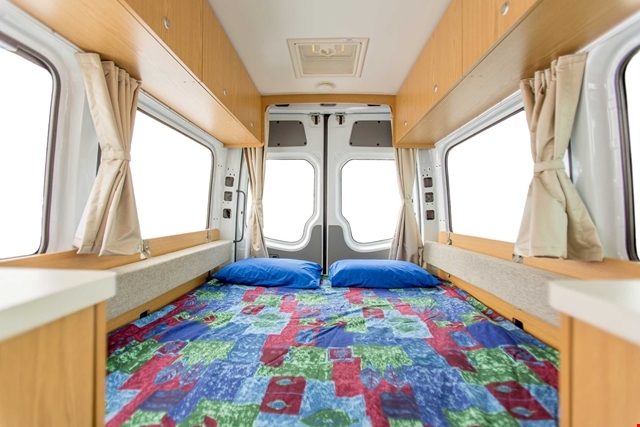 The advantage of a motorhome hire is that you have your home on wheels with you, and you don’t have to worry about the expense of high cost accommodations or meals. 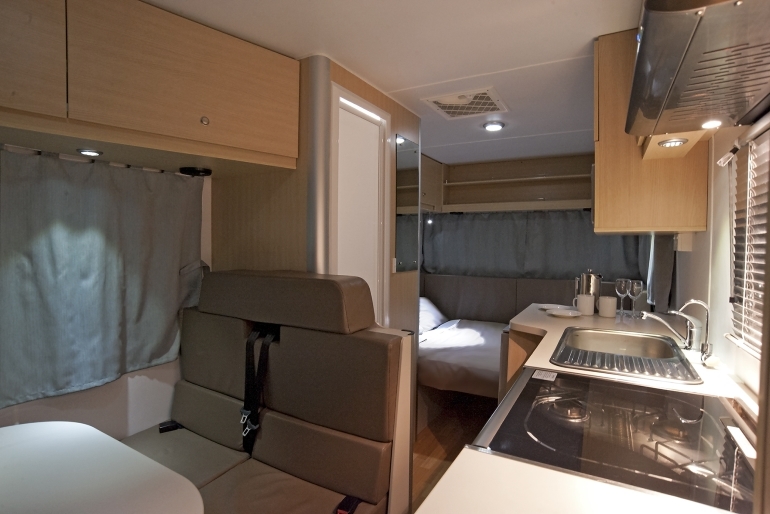 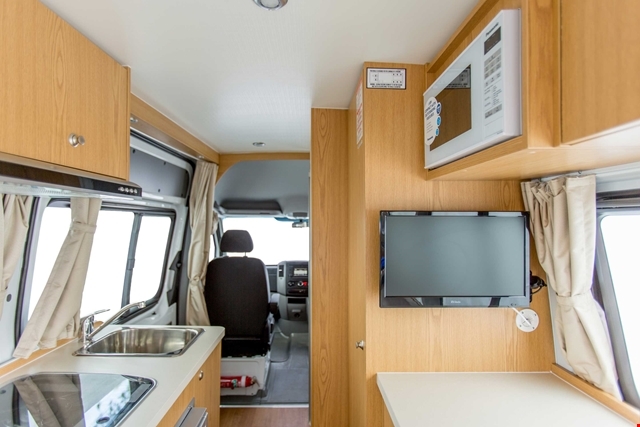 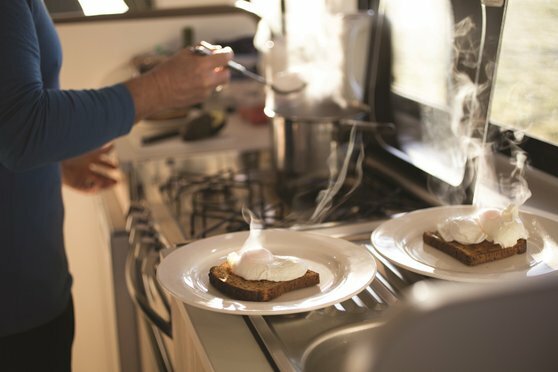 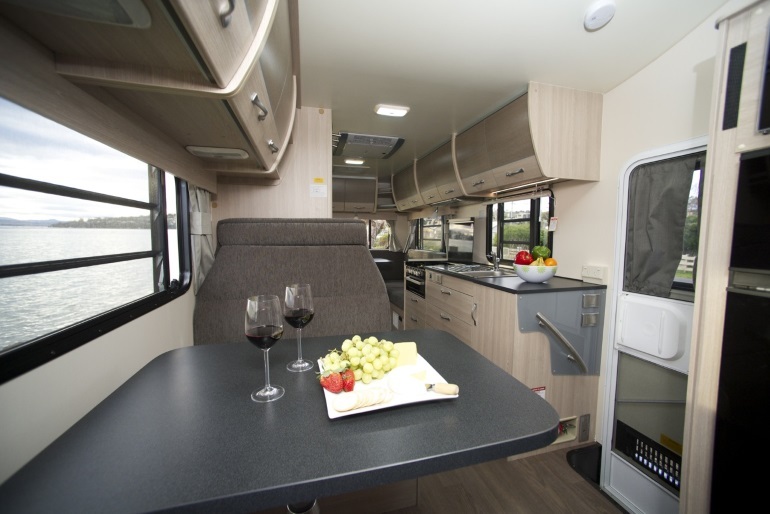 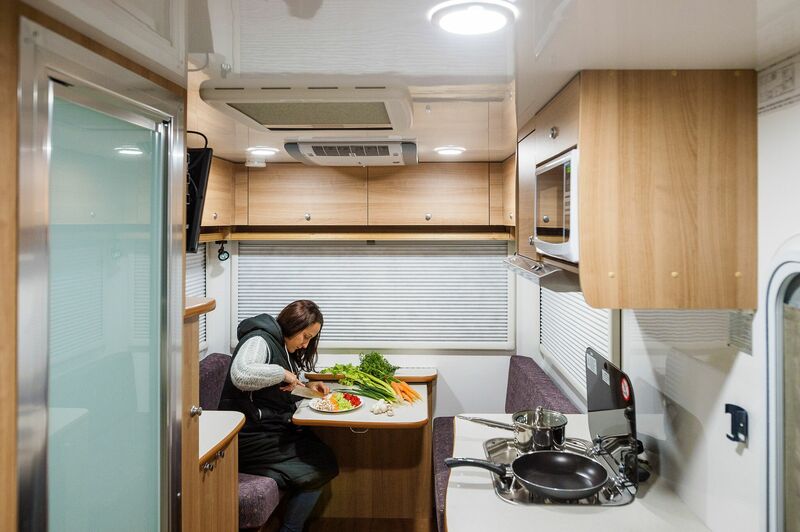 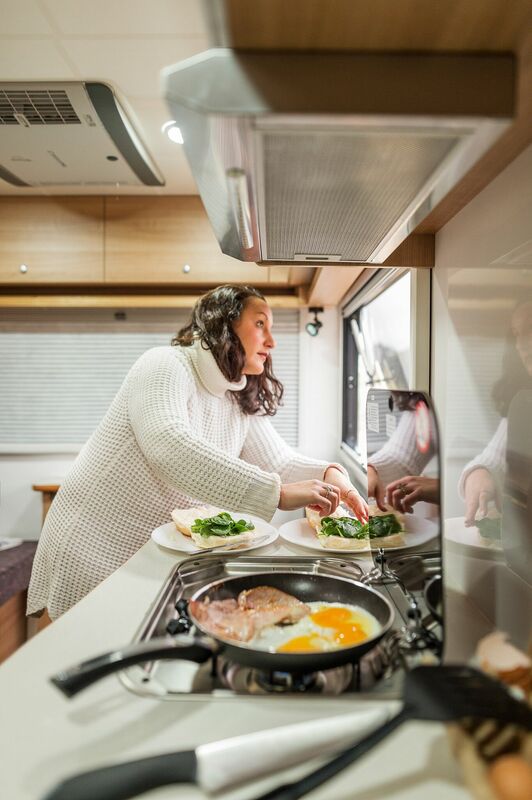 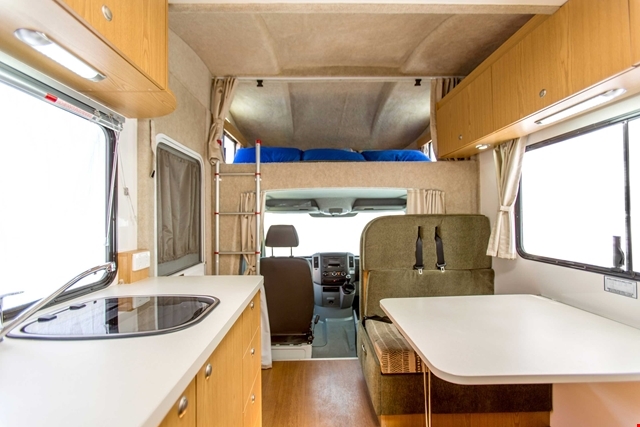 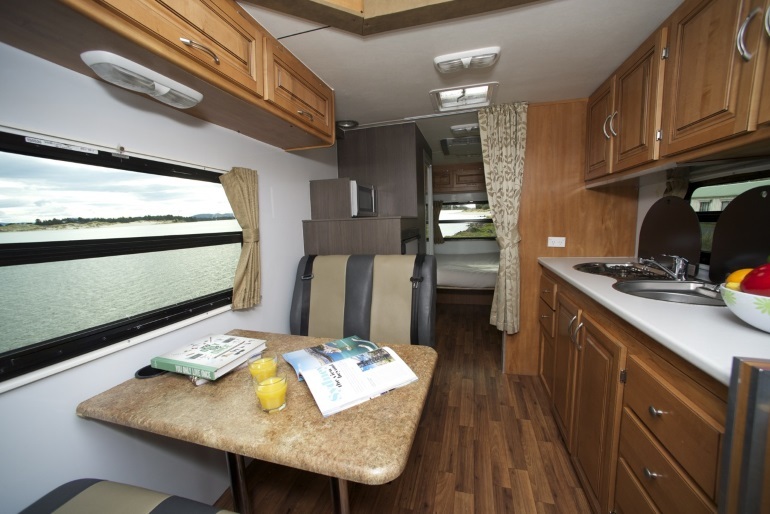 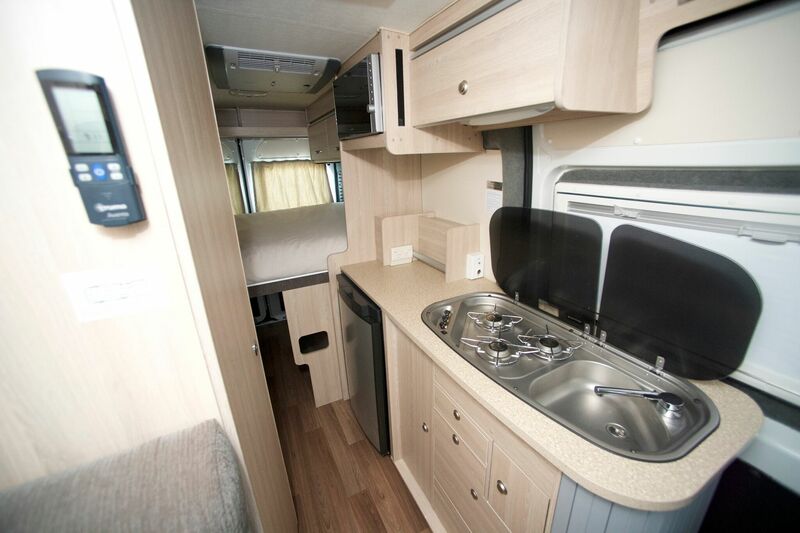 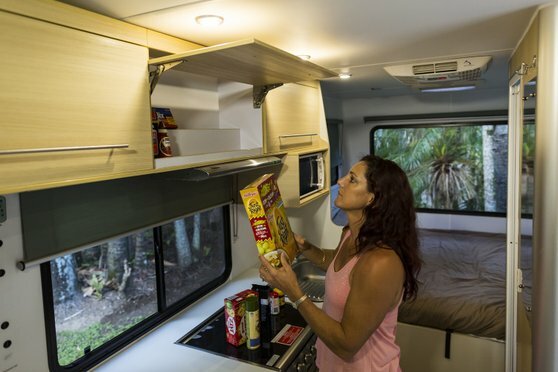 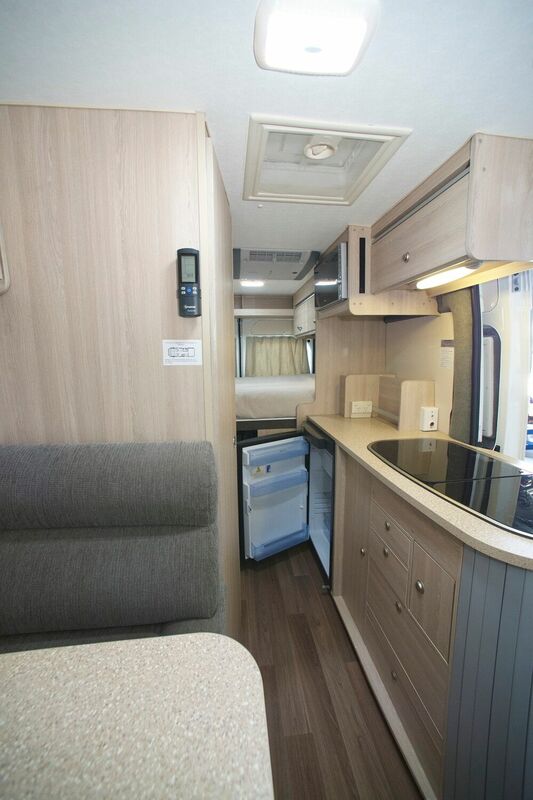 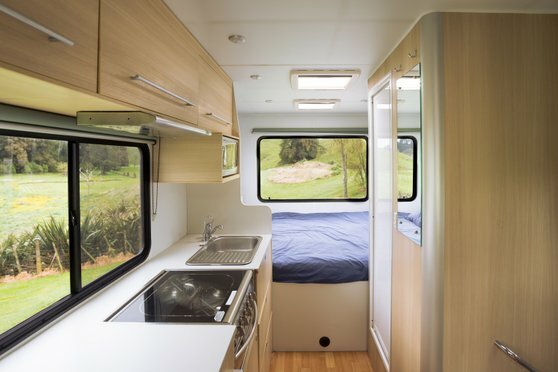 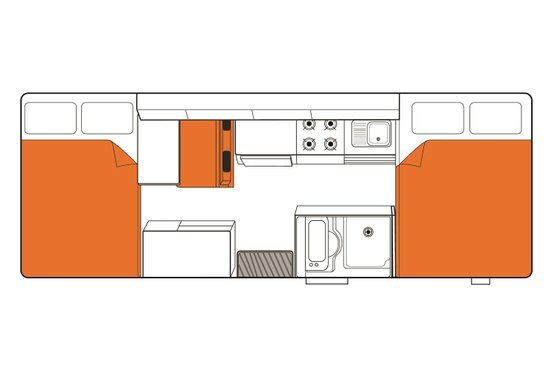 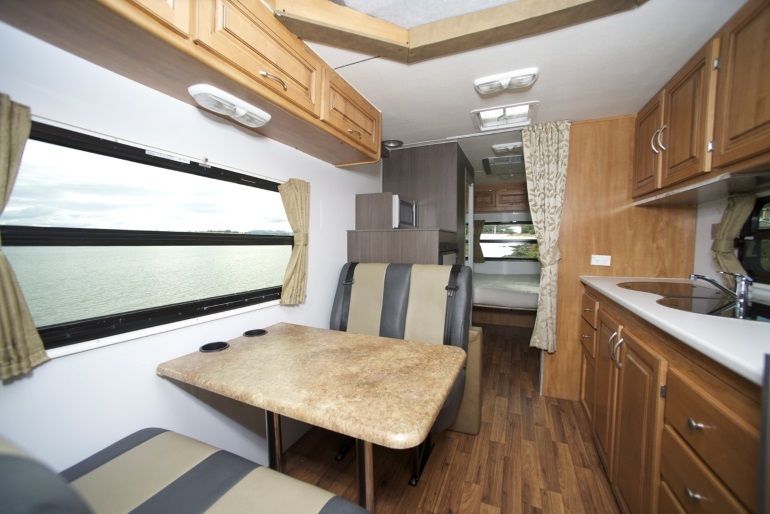 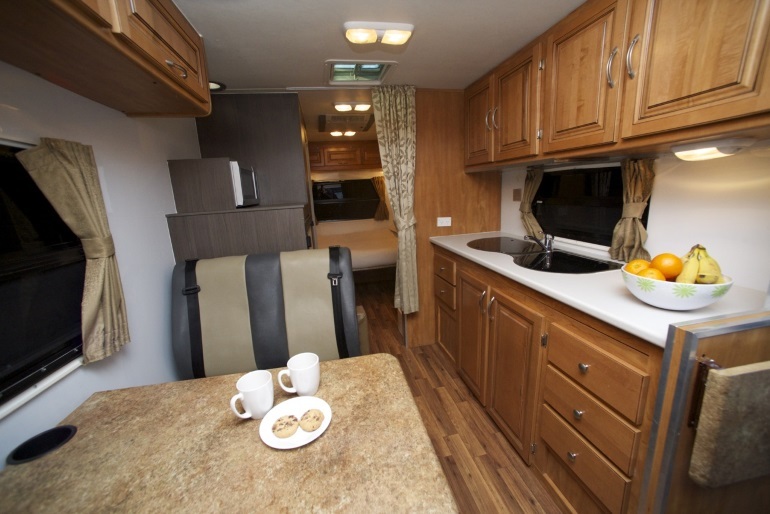 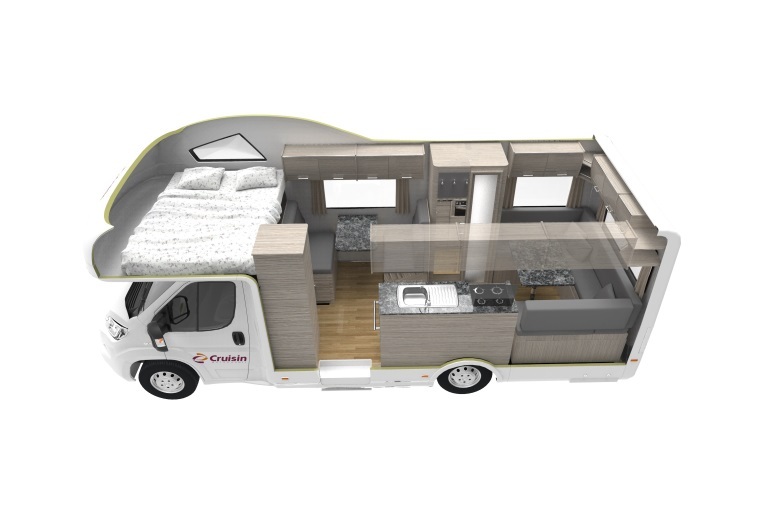 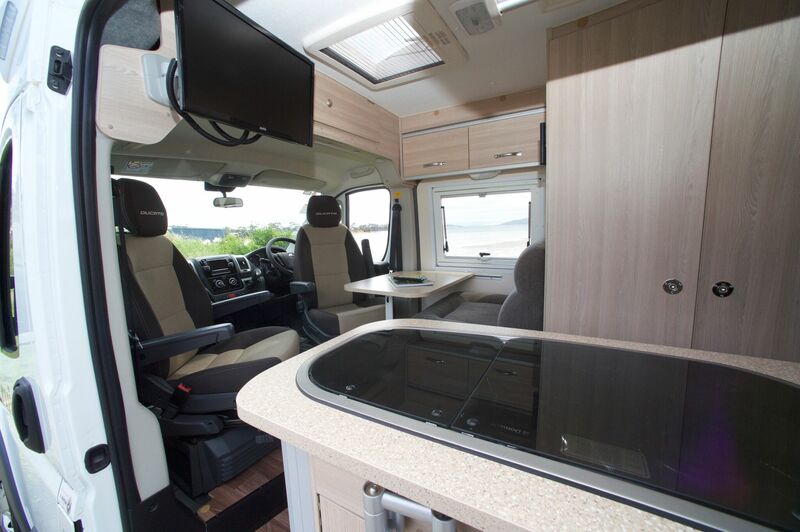 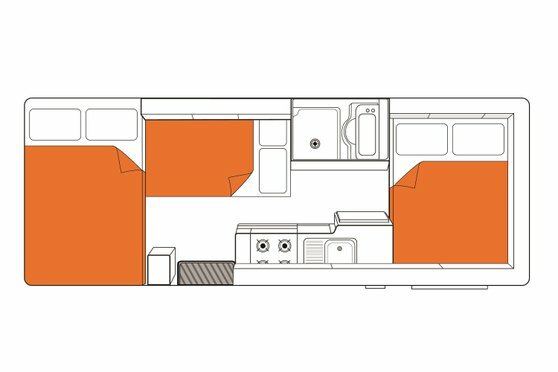 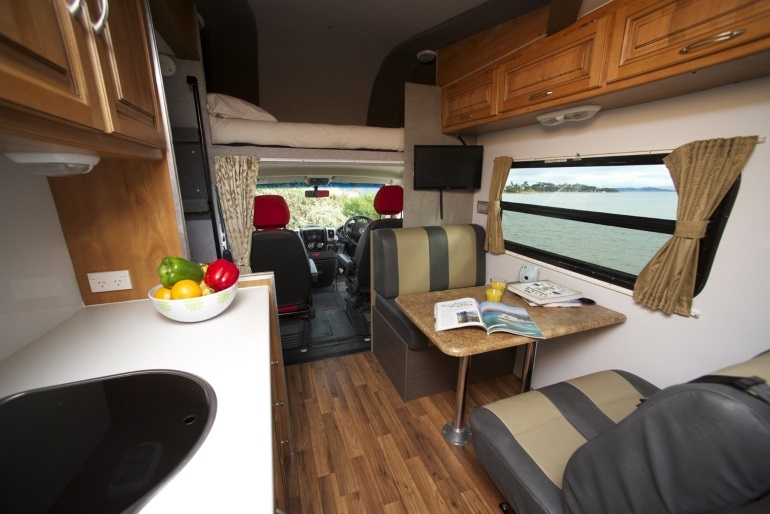 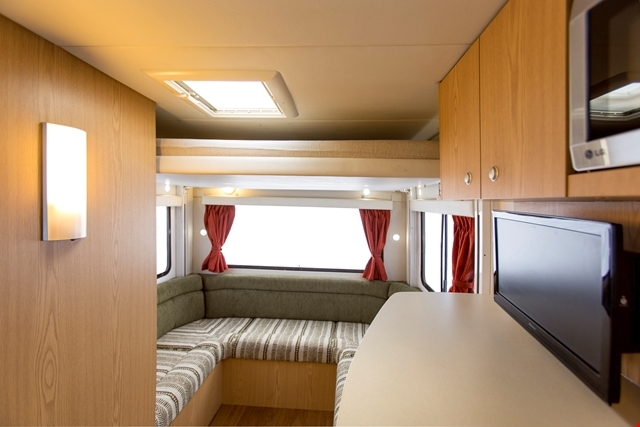 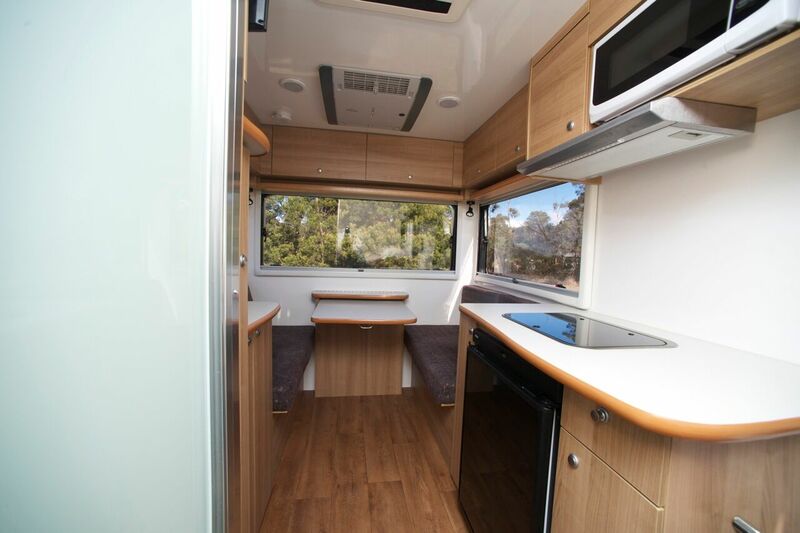 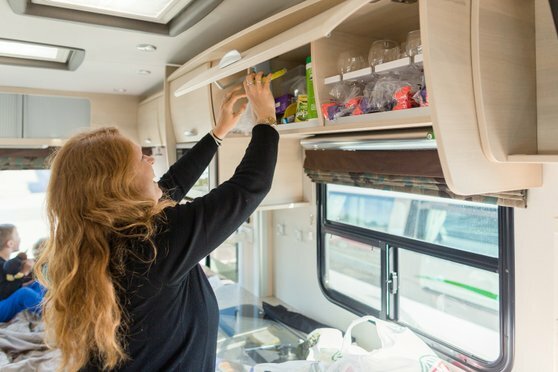 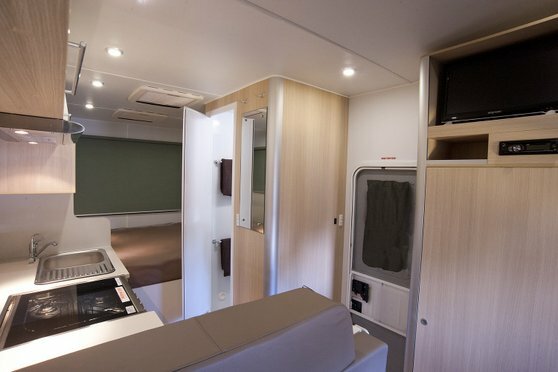 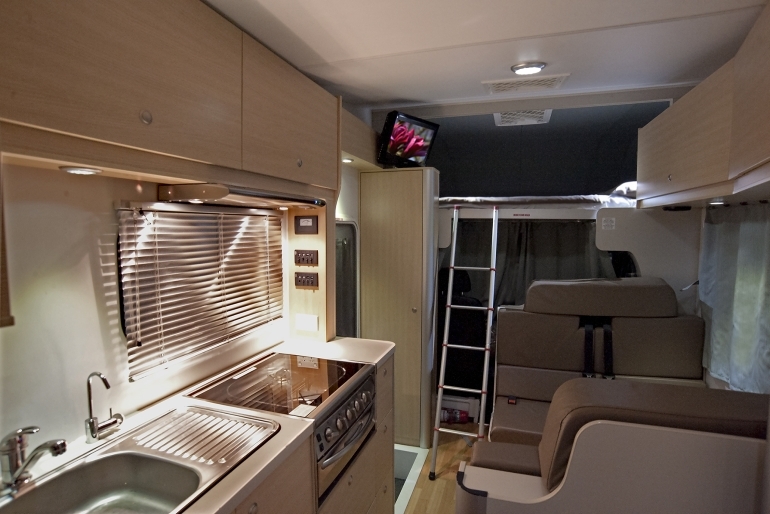 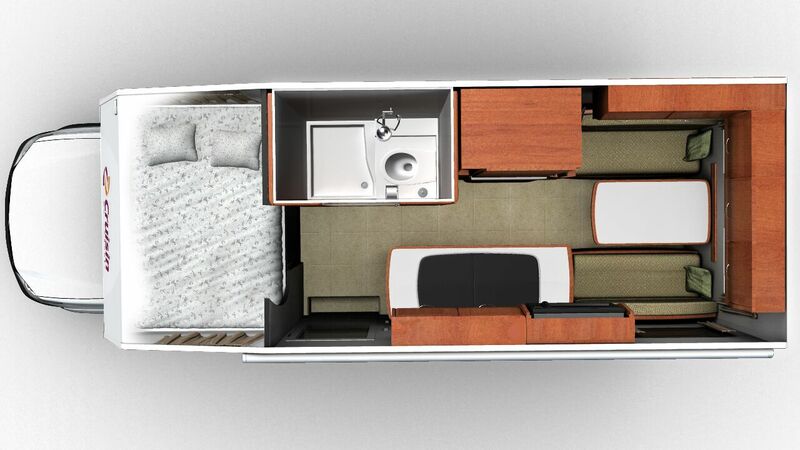 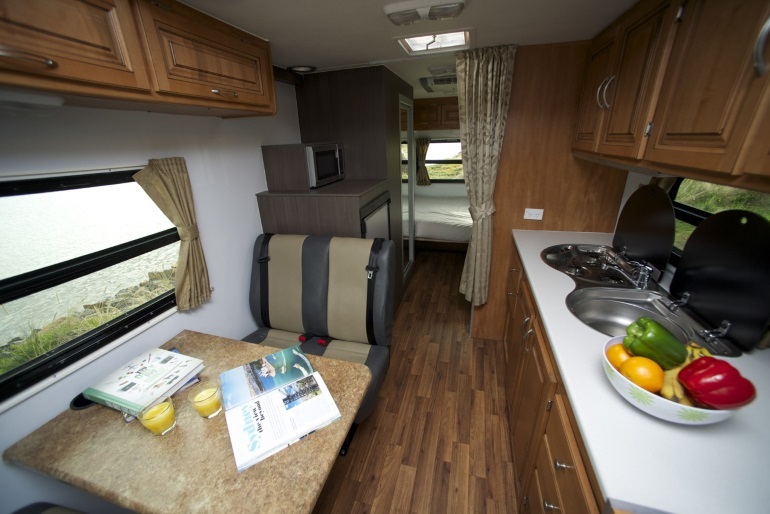 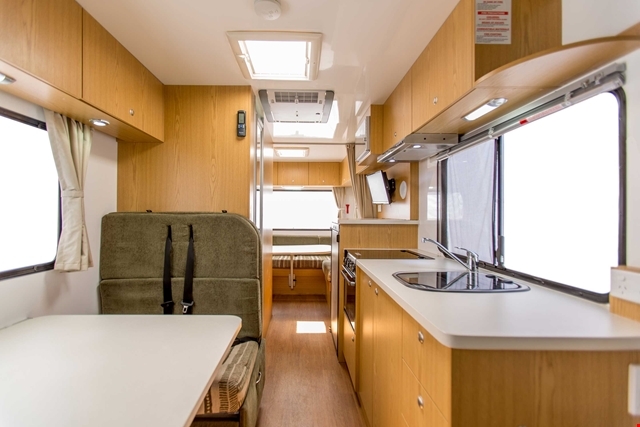 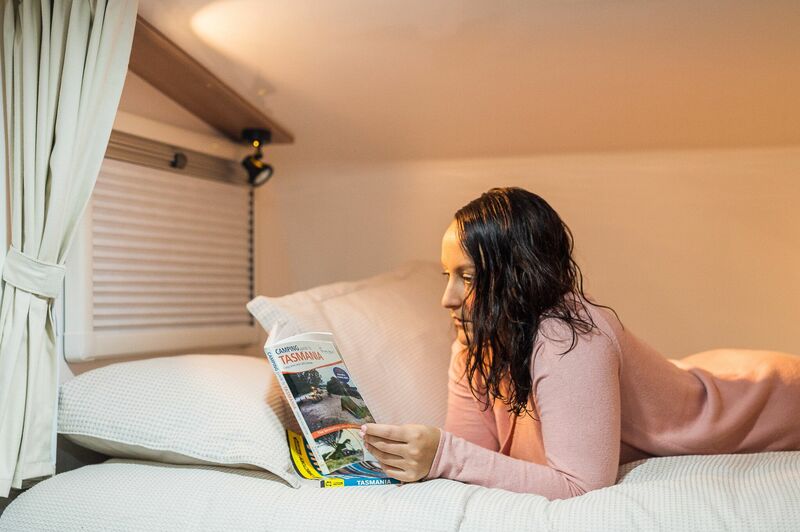 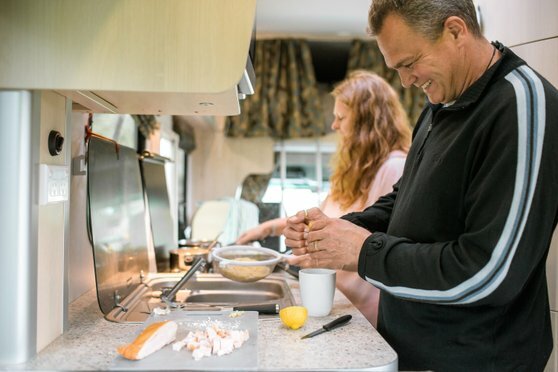 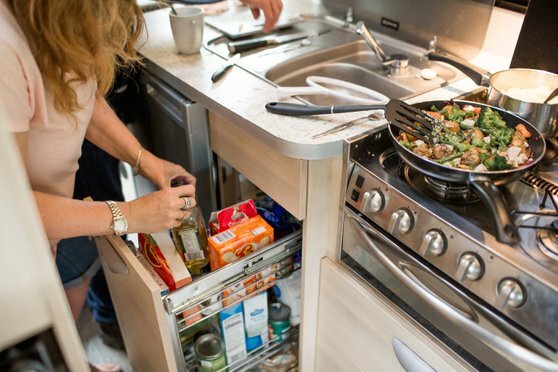 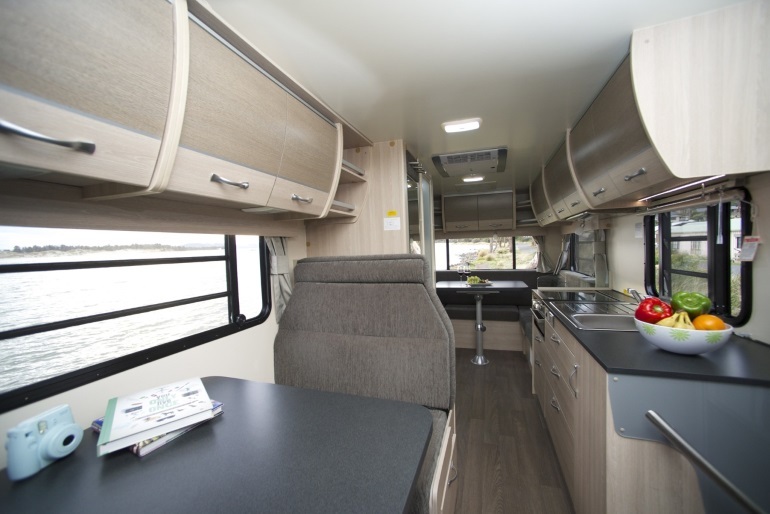 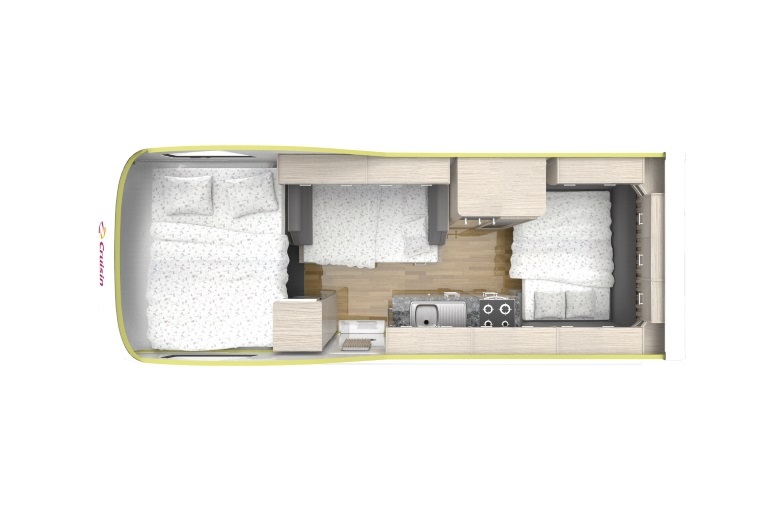 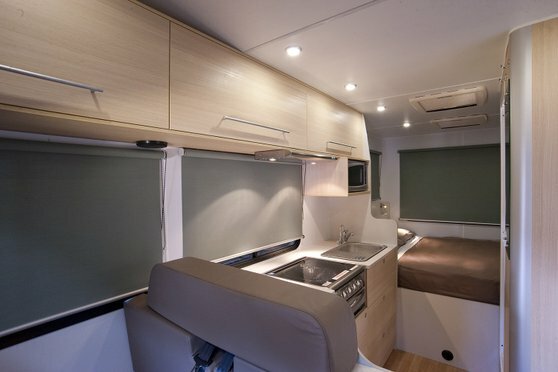 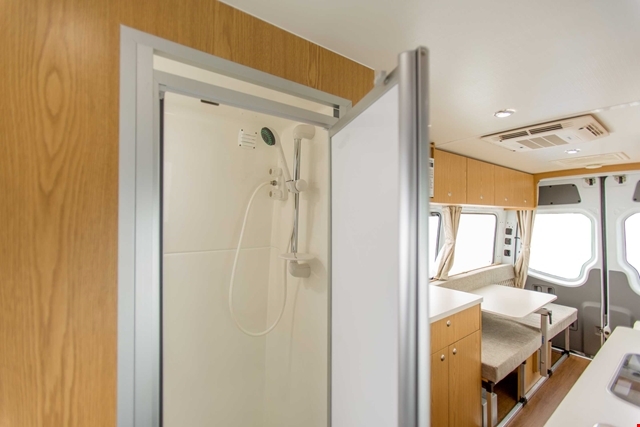 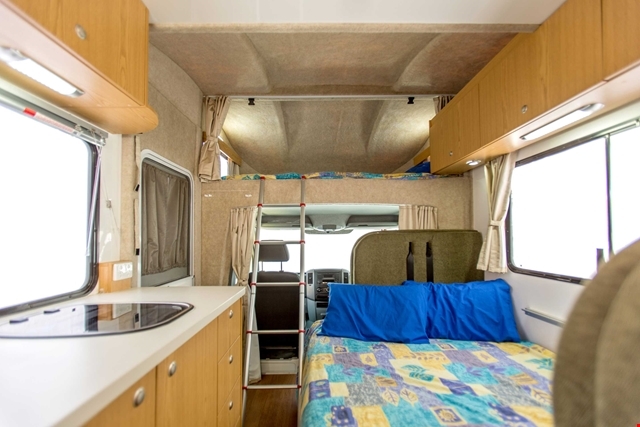 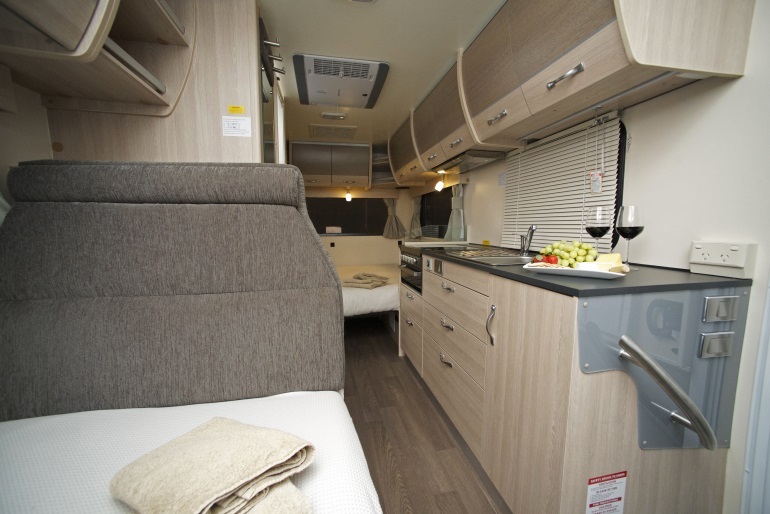 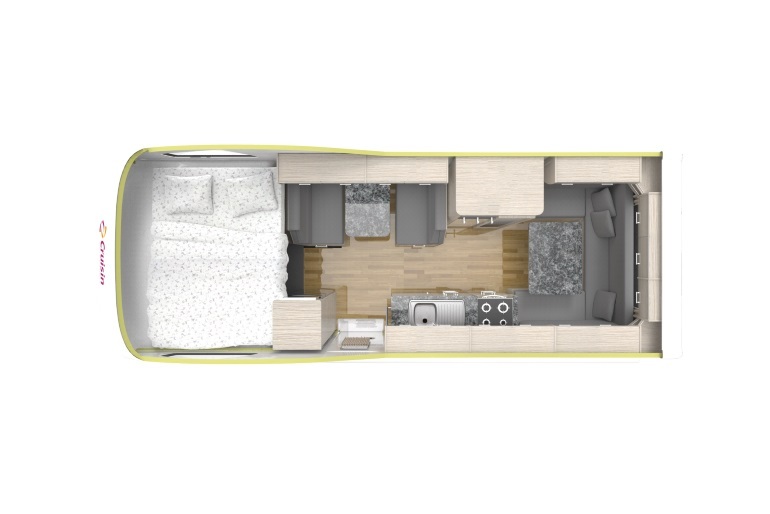 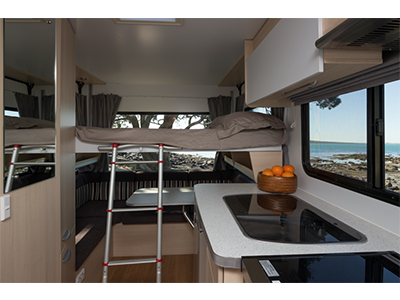 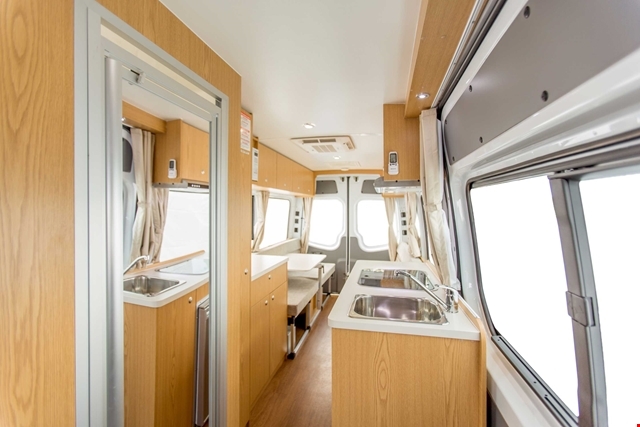 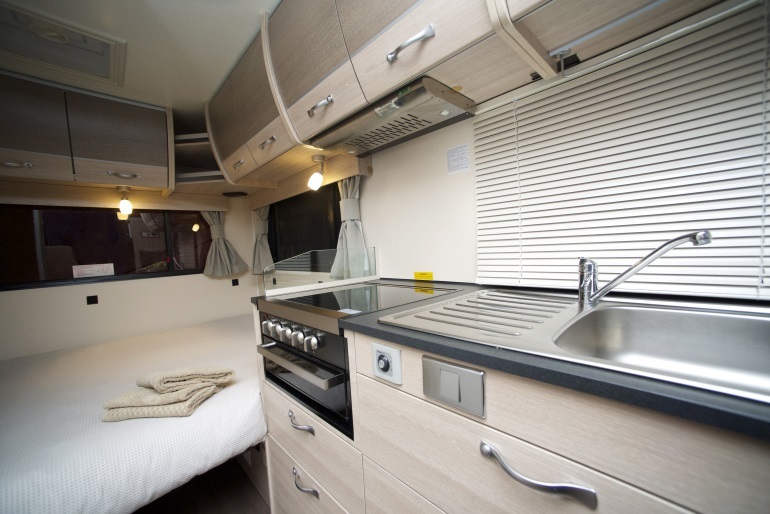 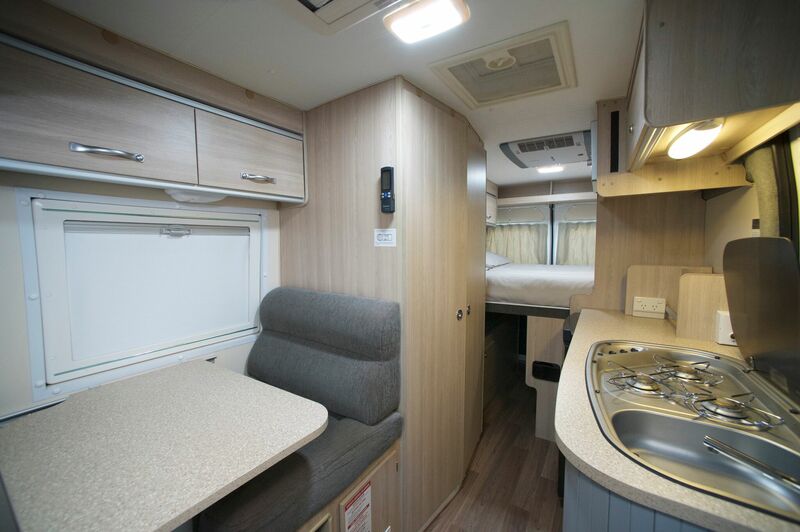 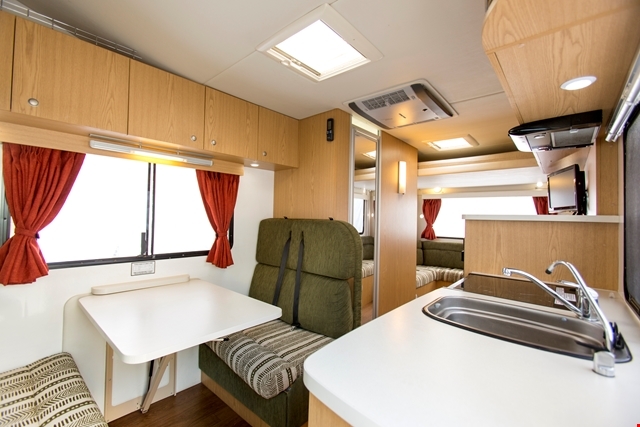 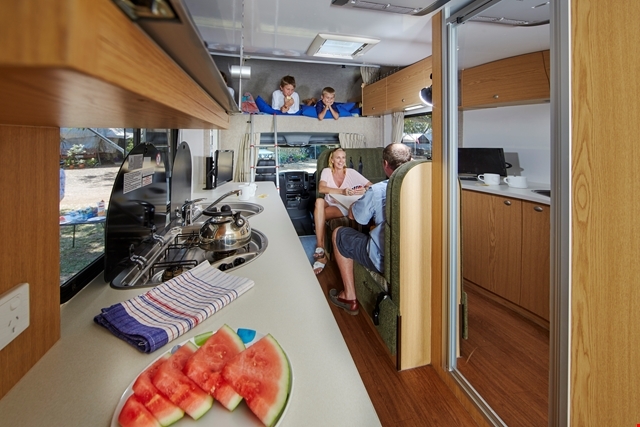 You can cook in the motorhome, as they are fully equipped with kitchen facilities, enjoy entertainment, and retire to cosy beds and private quarters. 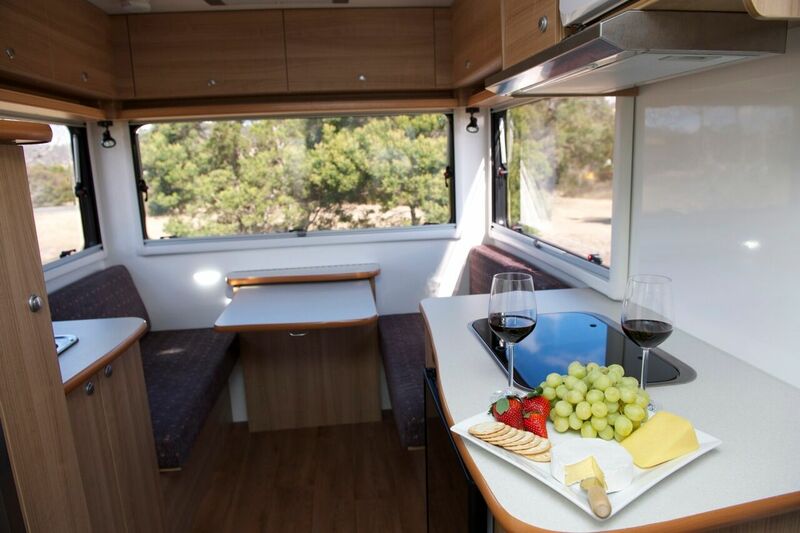 It is the ideal solution for those that like to bring along the amenities and modern conveniences of home on their holiday adventure. 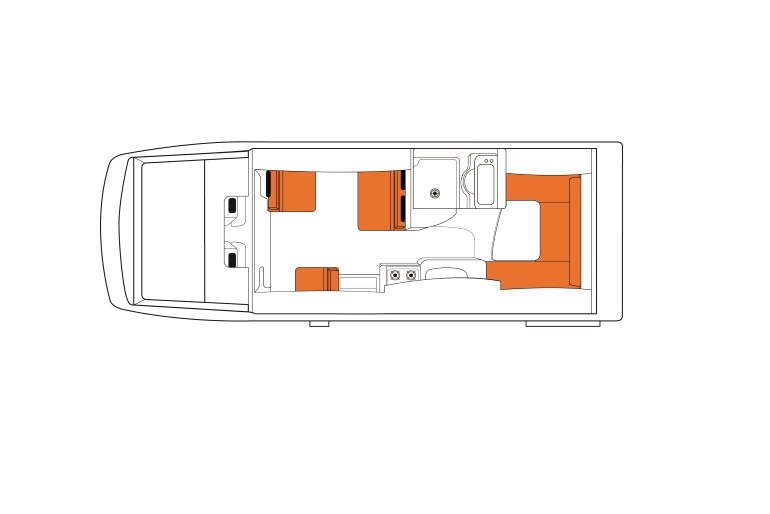 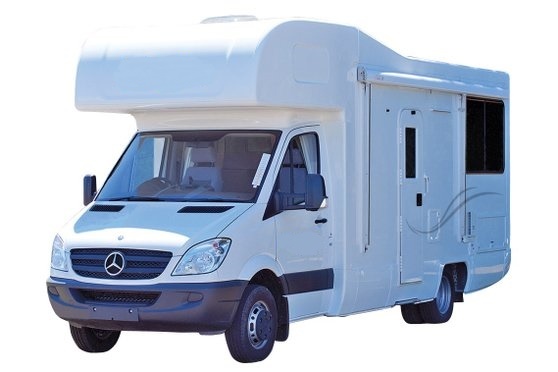 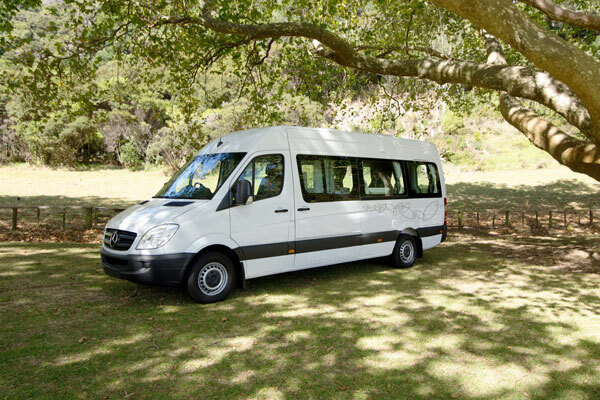 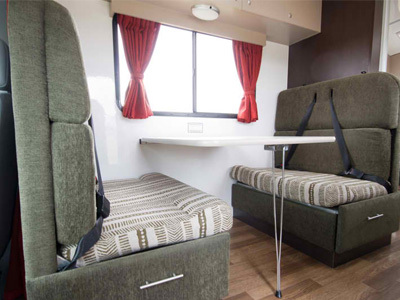 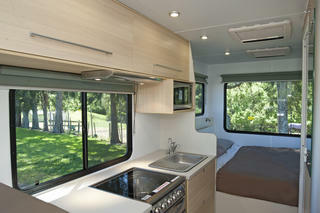 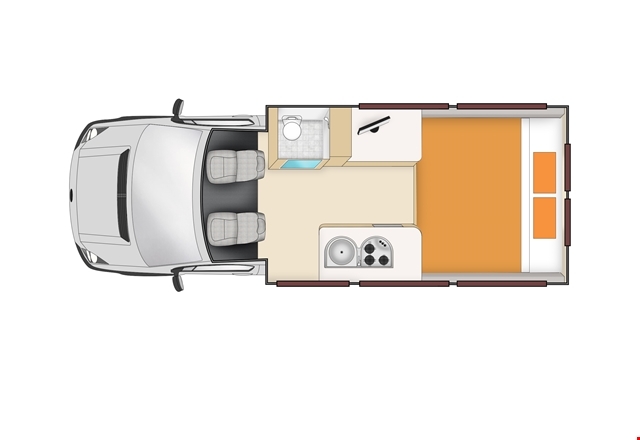 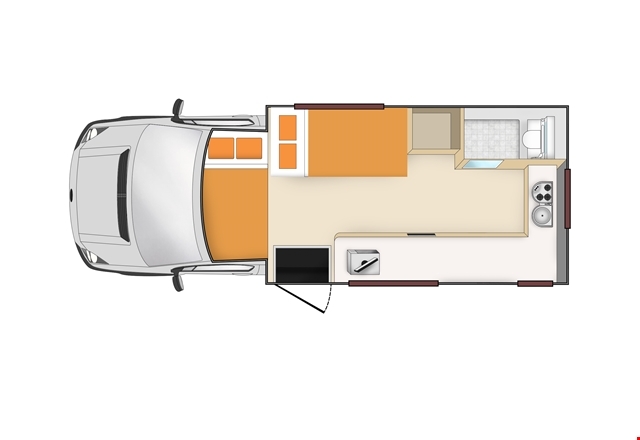 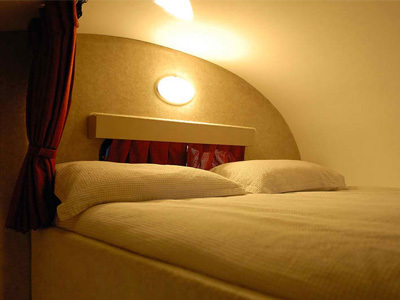 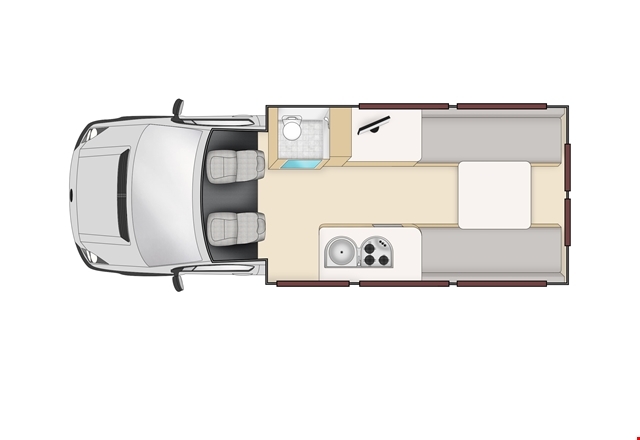 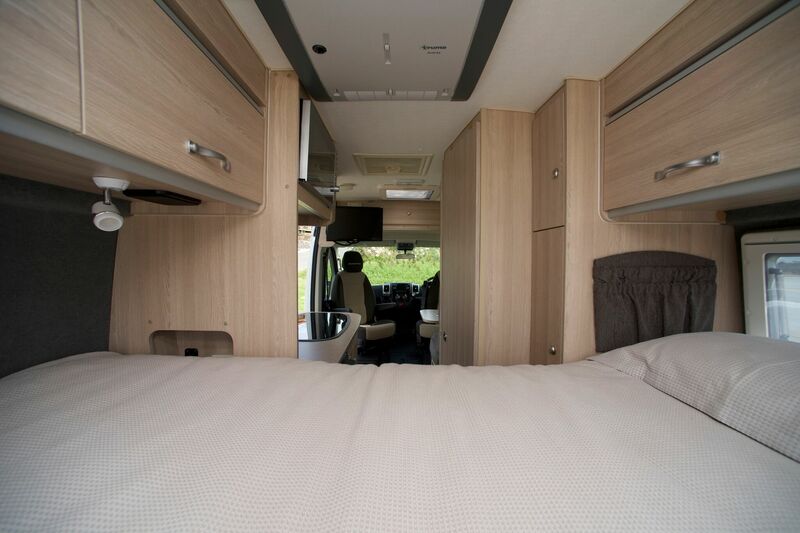 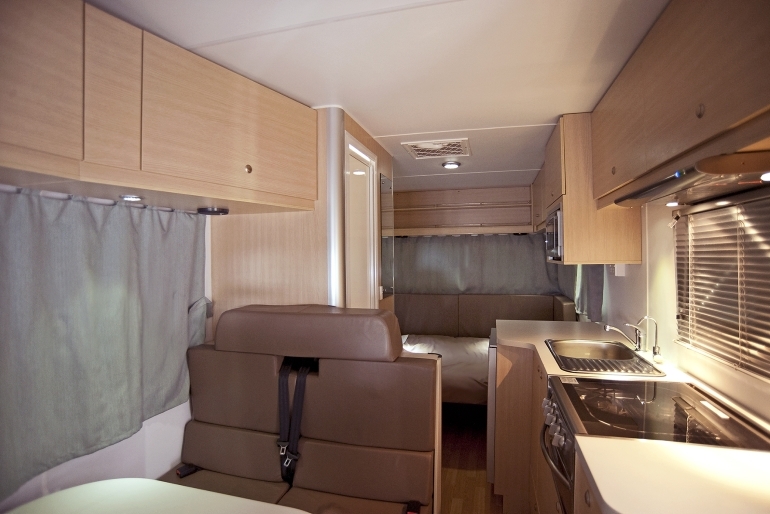 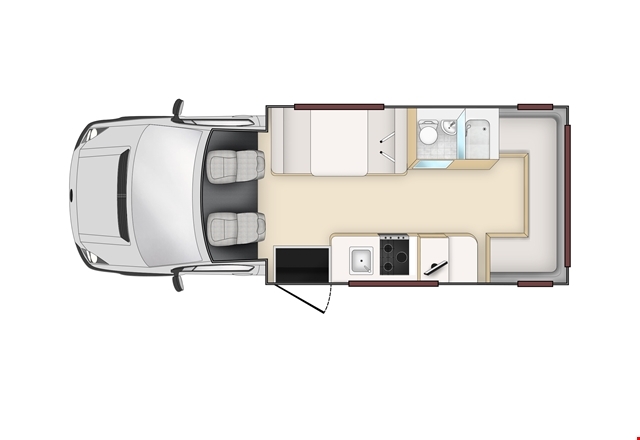 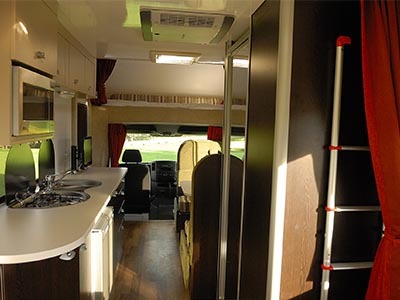 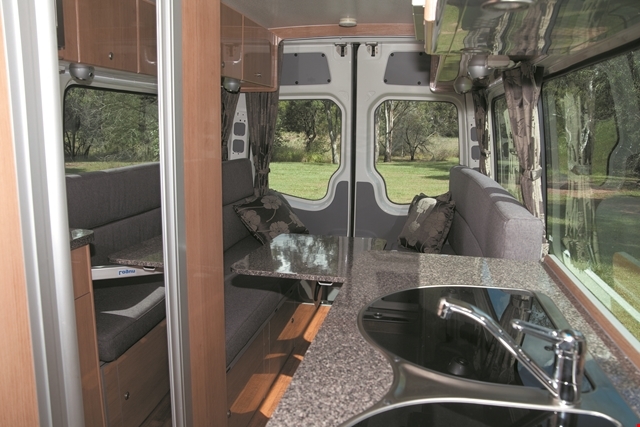 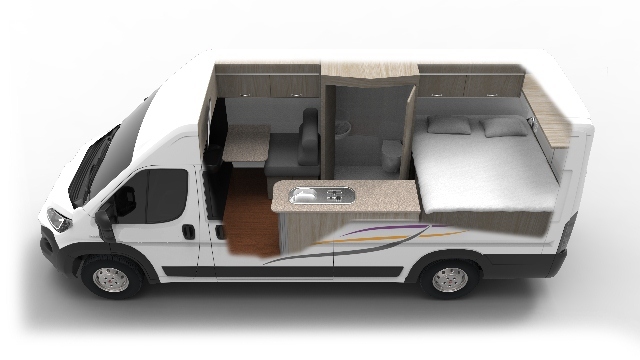 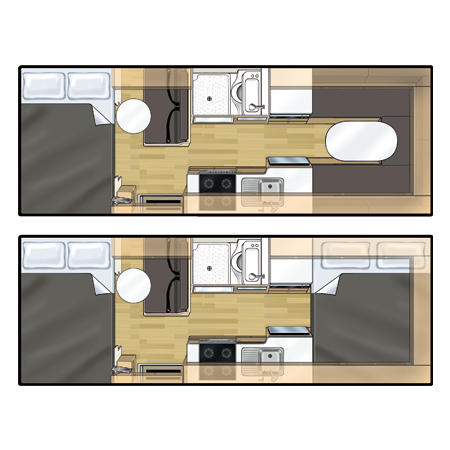 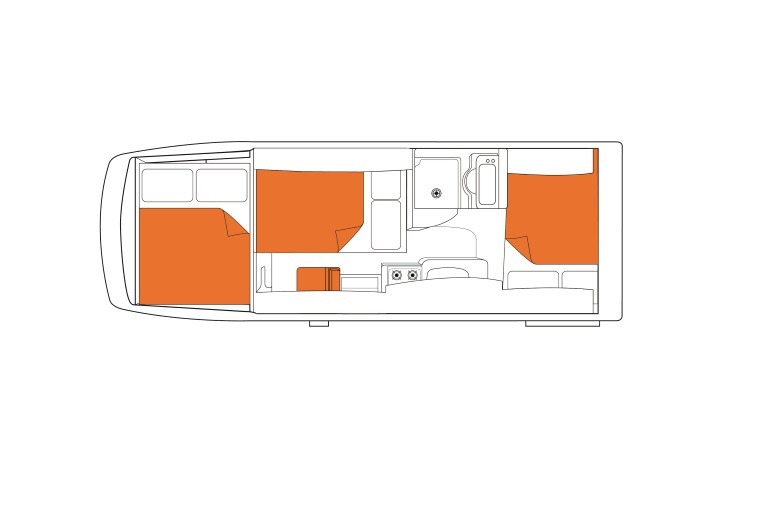 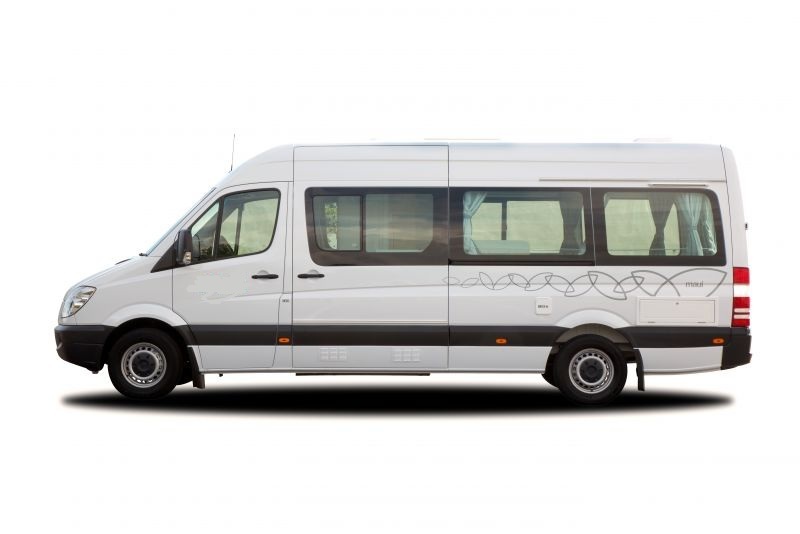 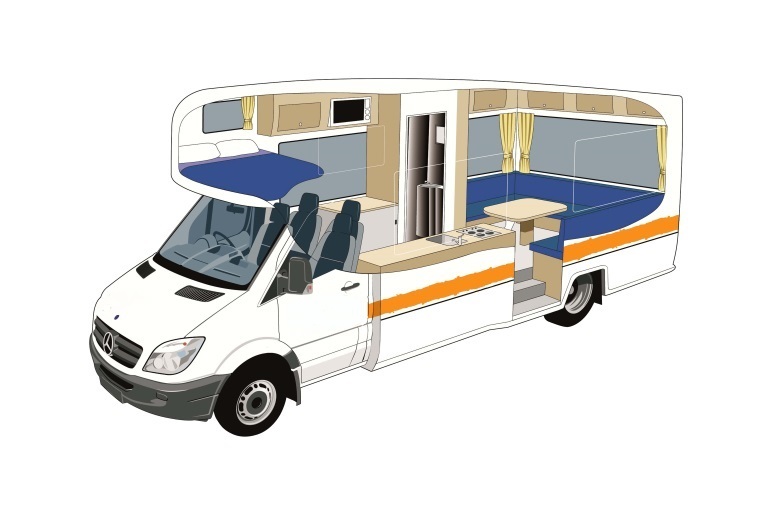 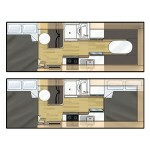 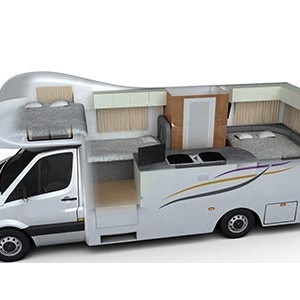 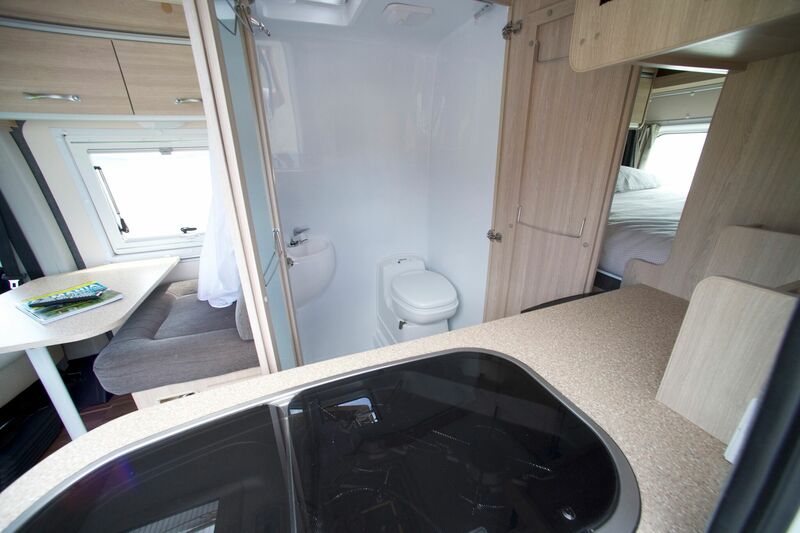 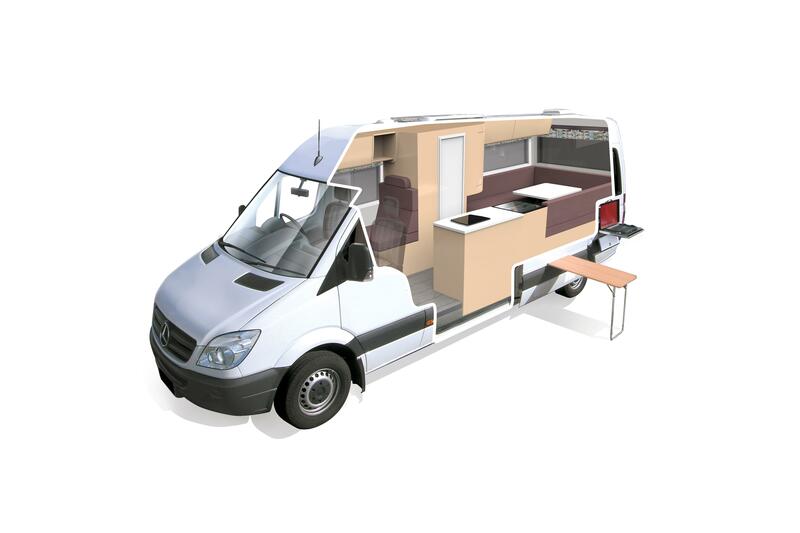 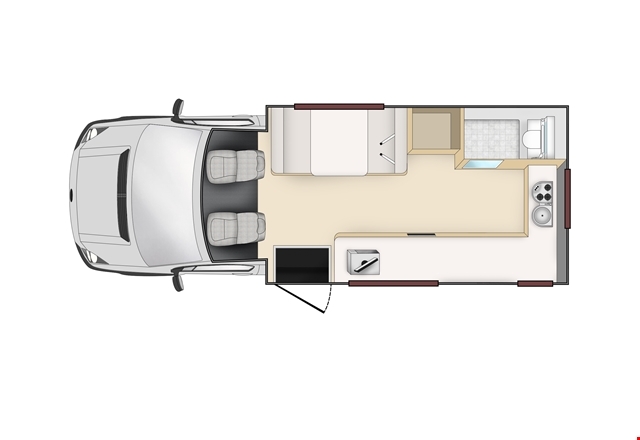 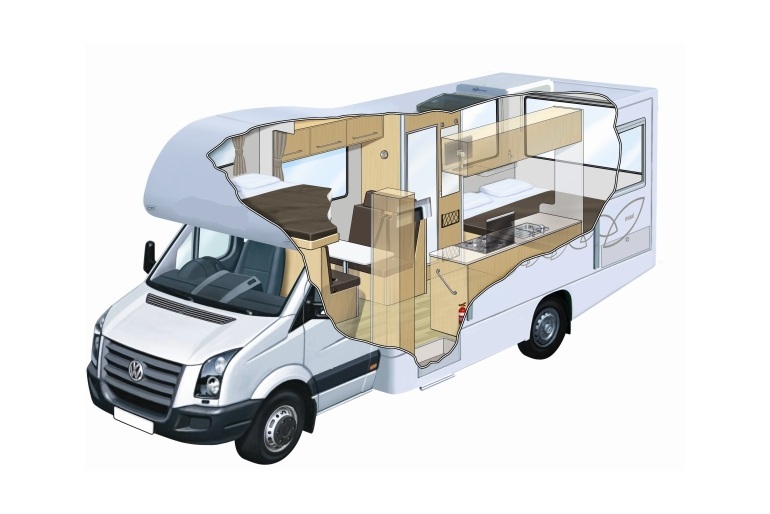 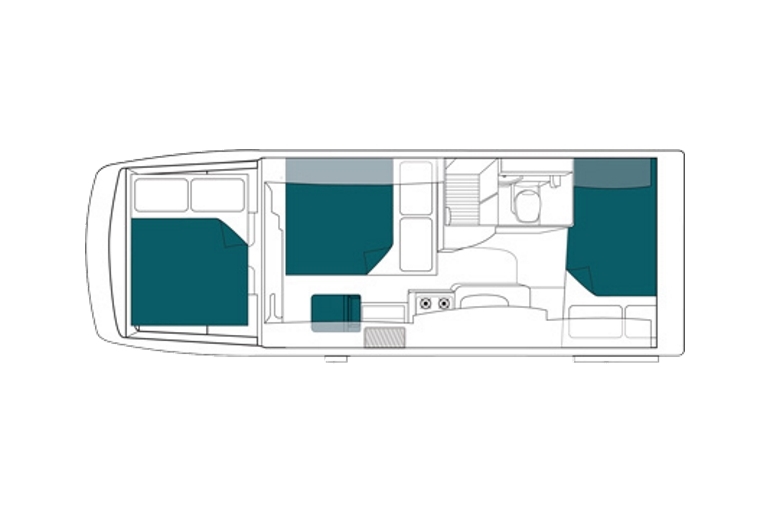 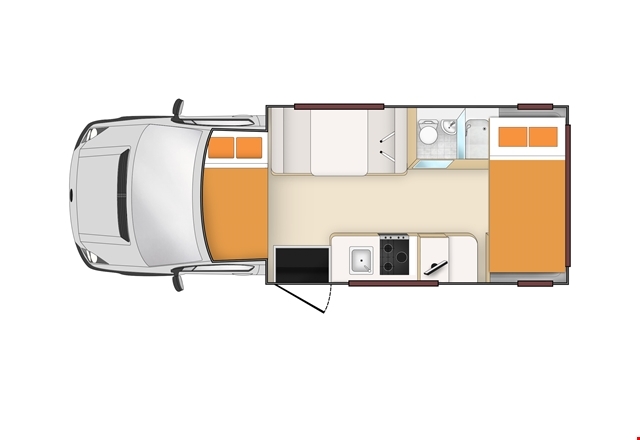 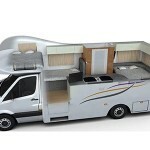 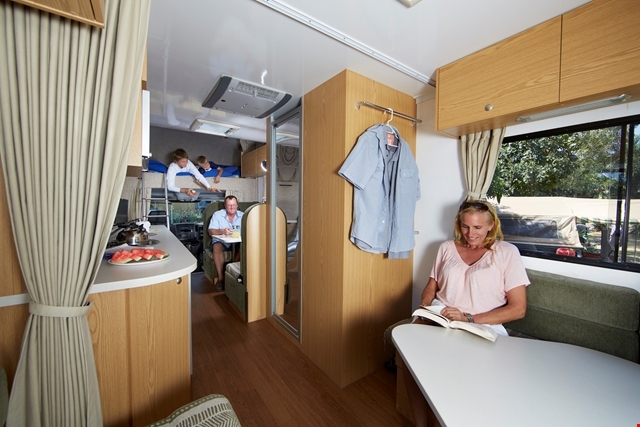 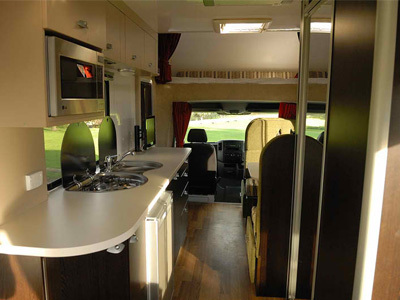 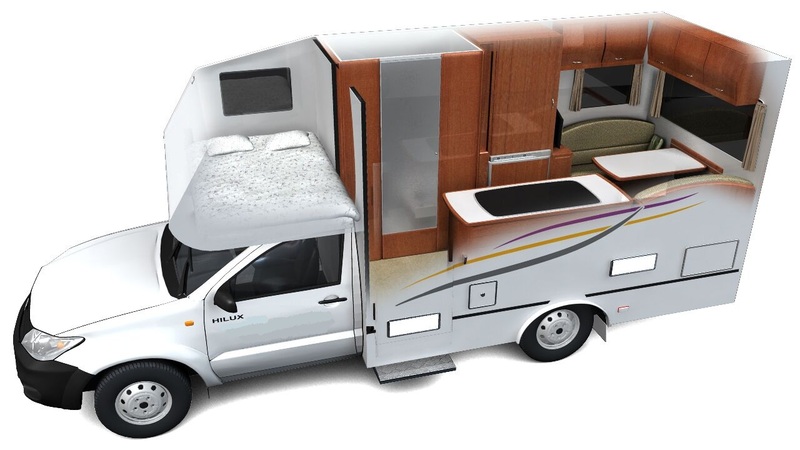 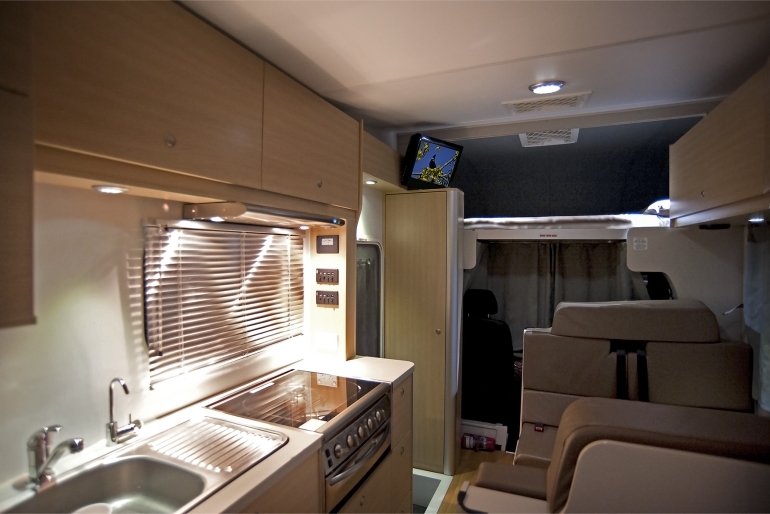 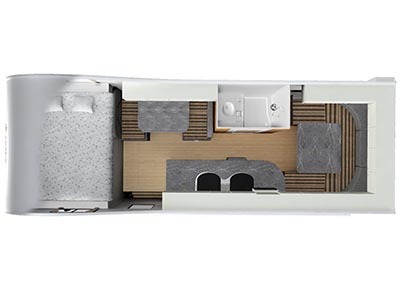 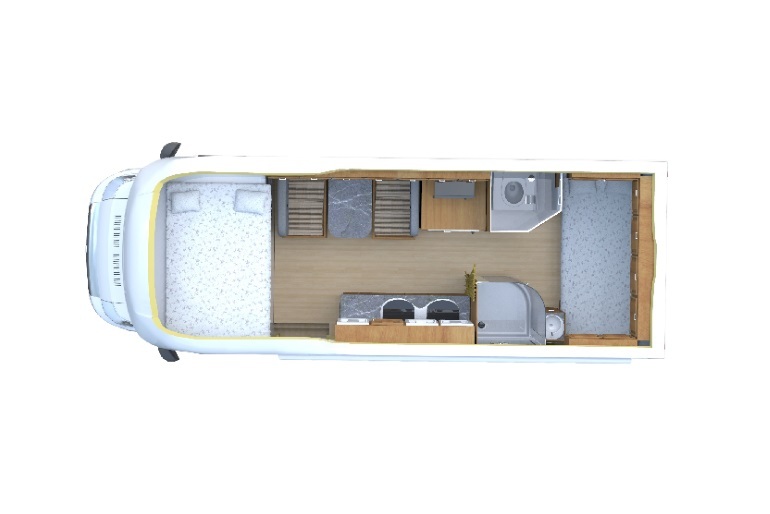 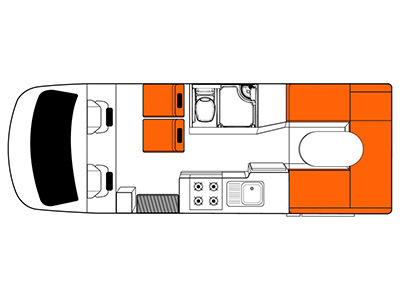 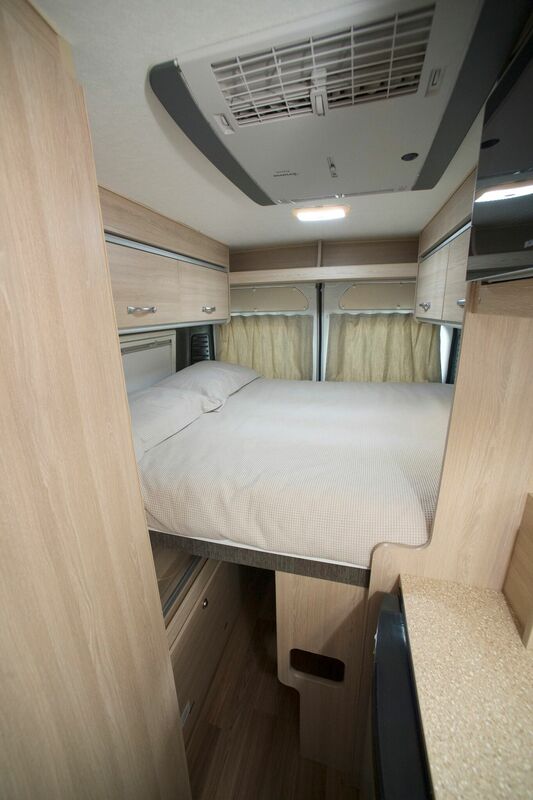 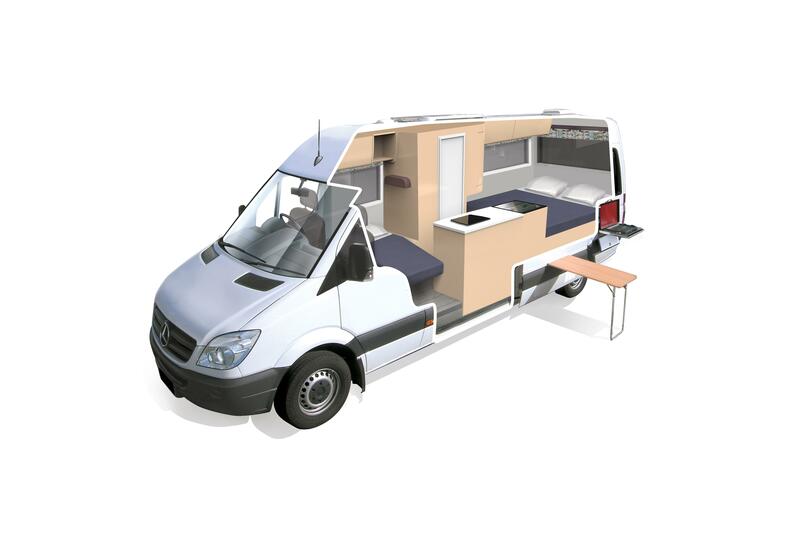 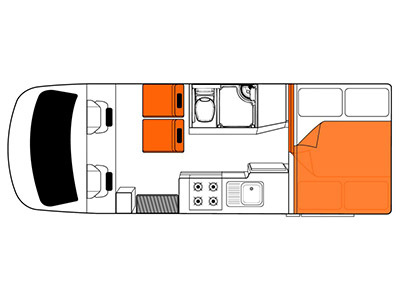 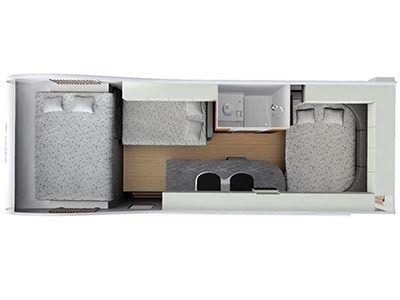 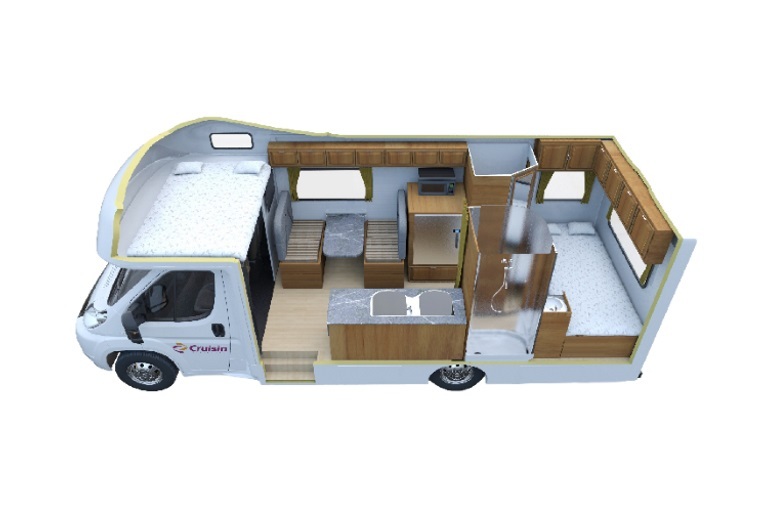 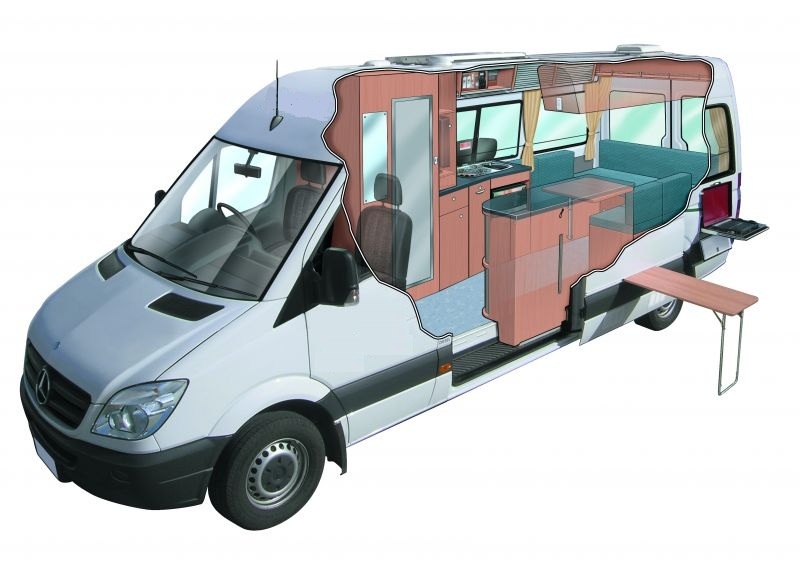 Our motorhome solutions carry and sleep two to six persons in style. 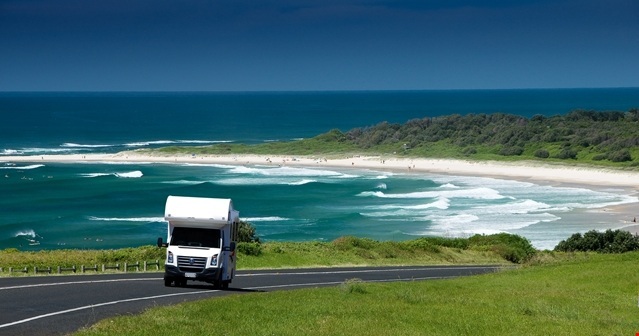 Most feature unlimited kilometres, which means the holiday becomes even more affordable. 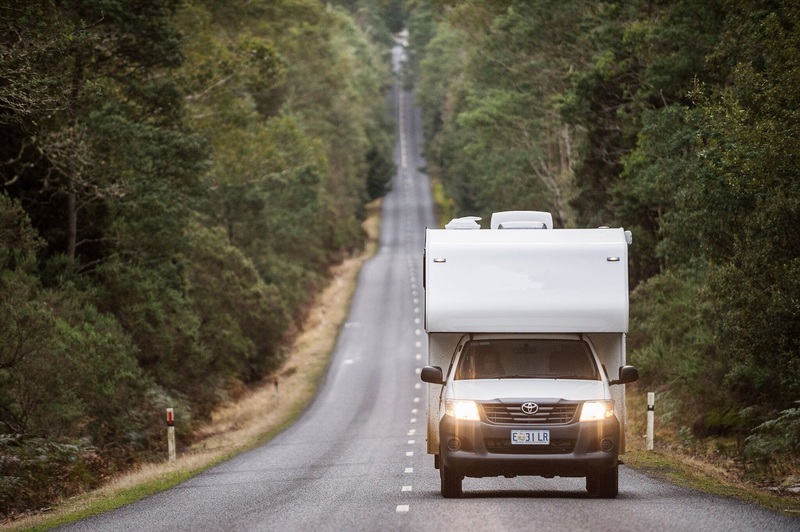 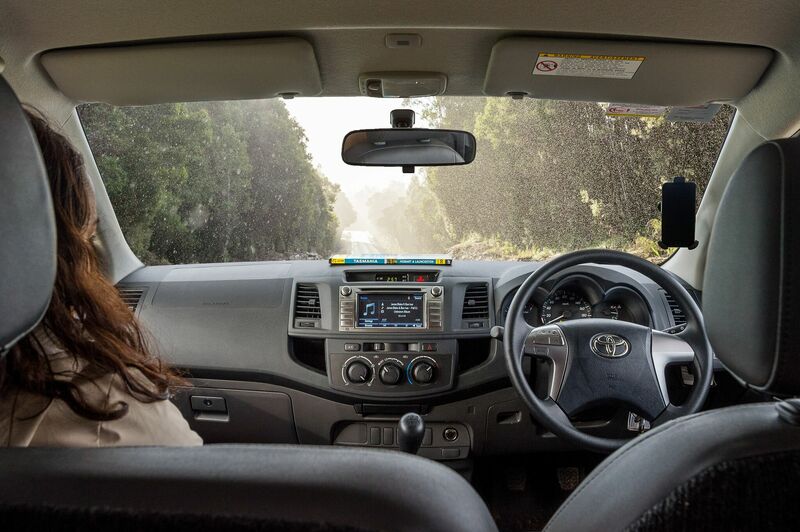 There are also many extras, including low cost liability insurance to ensure that you have the cover you need while travelling the Australian roadways. 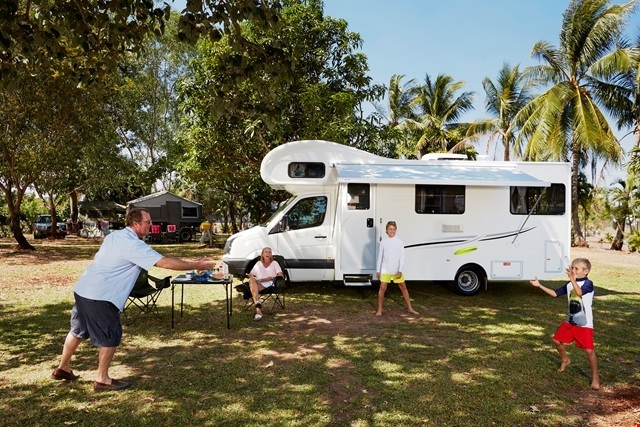 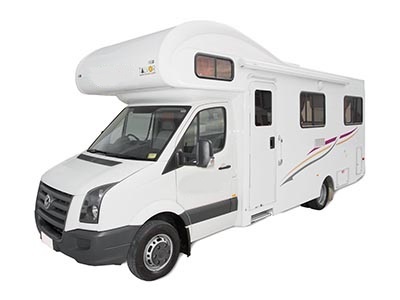 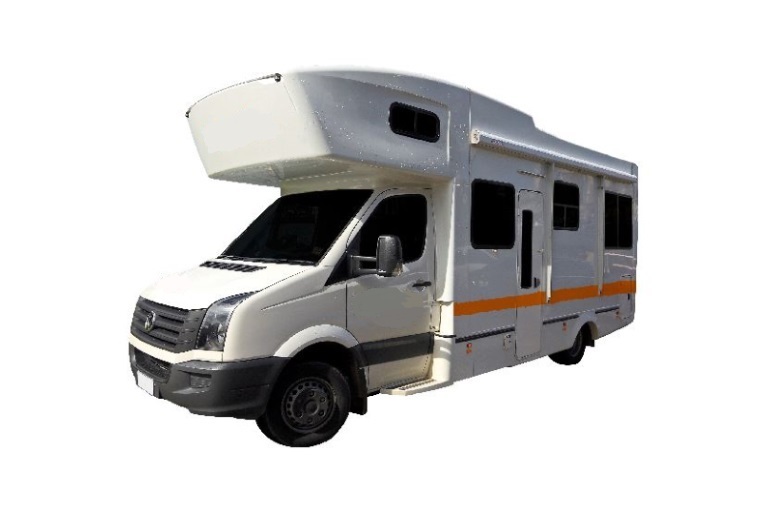 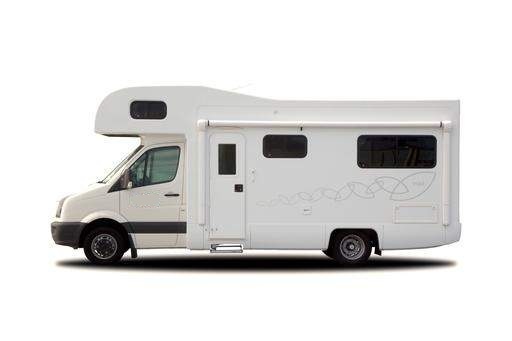 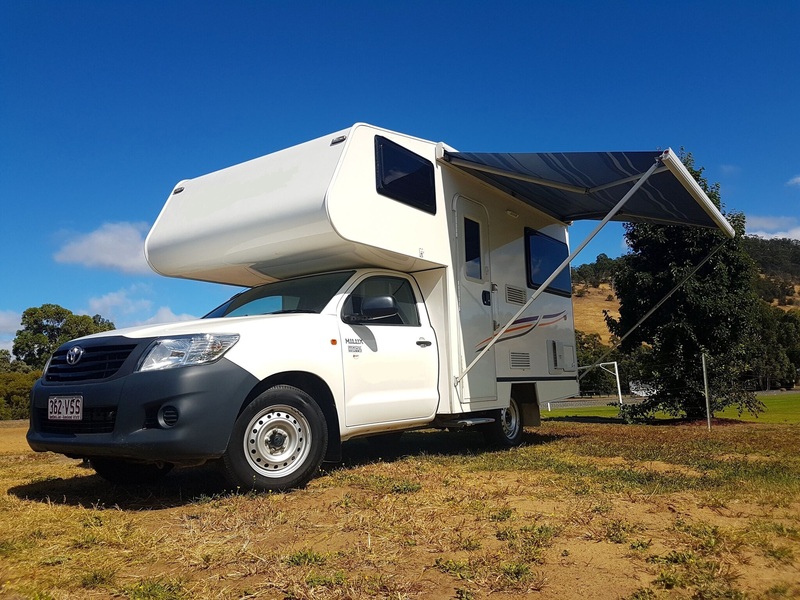 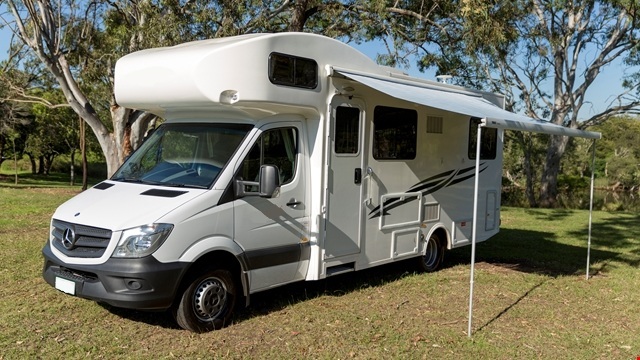 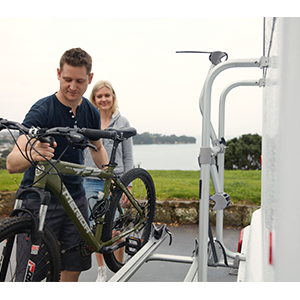 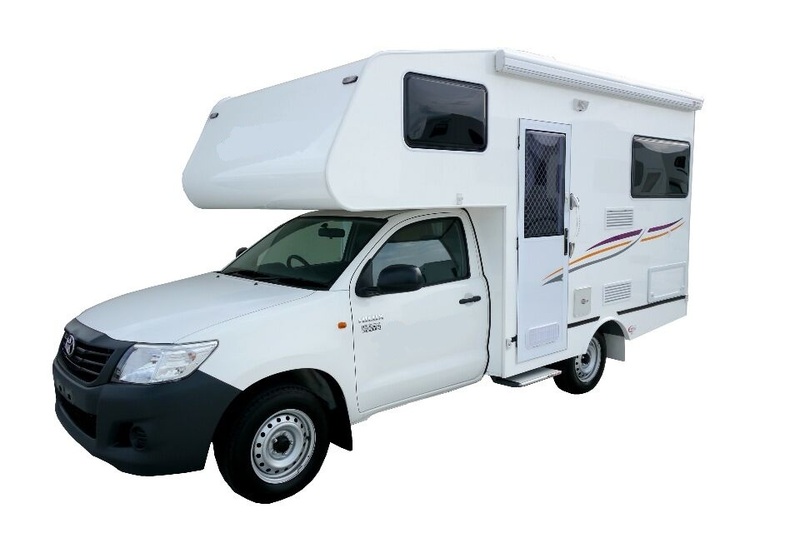 To get free, low cost quotes on motorhome hire Australia rentals; just locate GetAboutOz's “Get a Quote” form found on this page. 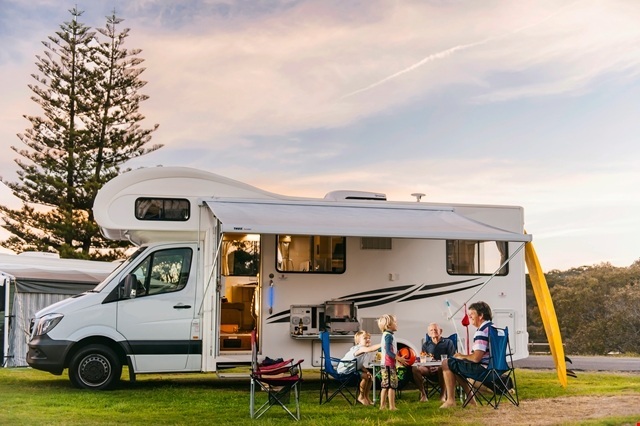 We only require a few small details about your holiday plans and within minutes we will provide you with low cost quotes for you to shop and compare. 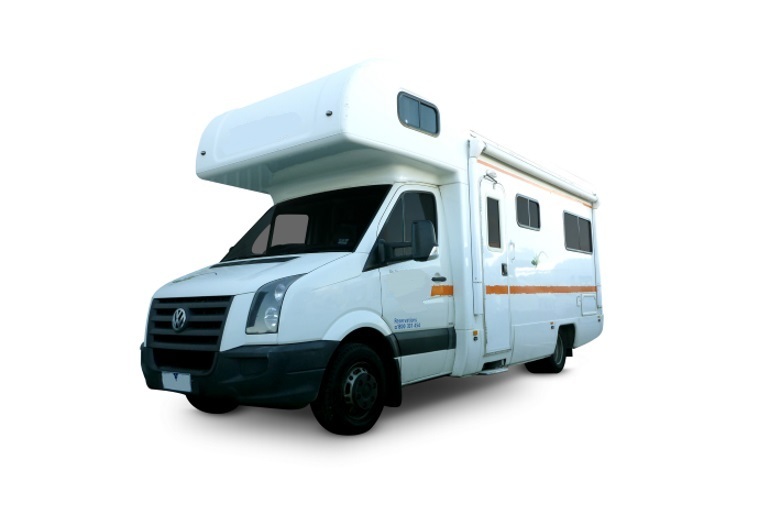 We are an industry leader, and you’ll always have the satisfaction of low prices and great service! 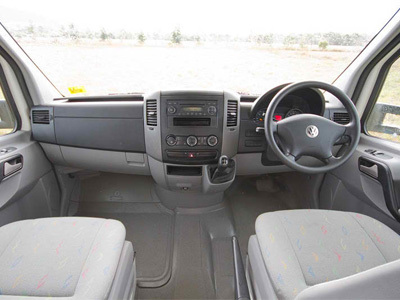 Seats: 3	A child (8+ years old) can travel in this vehicle as there are 3 seatbelts in the driver's cabin (middle seat is a lap belt only). Water: 80 litres Hot Water: Yes Water Filter: Yes Hot & Cold Pressurised Water. Gas Burners: 3 Gas Bottles : 1 Litres : (gas bottles only) 1 x 4kg. 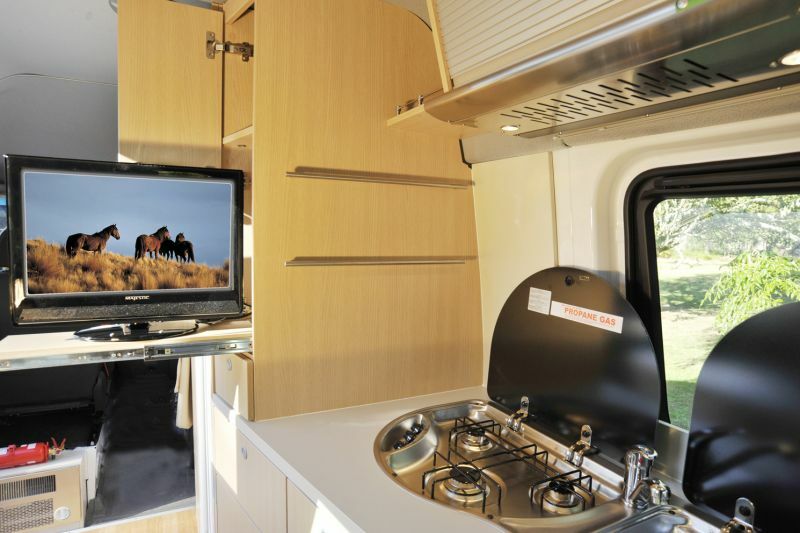 Gas x 3 hobs. 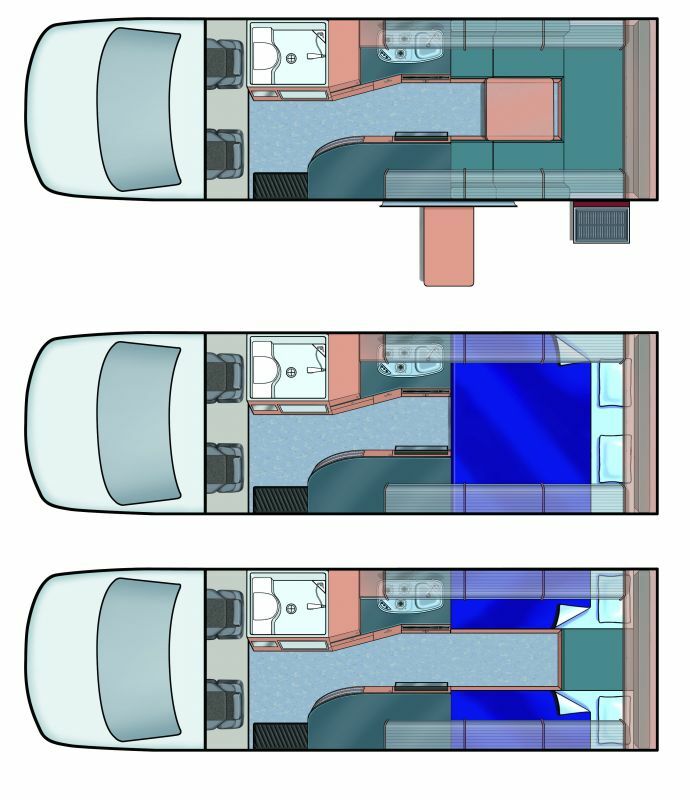 Fridge: Fridge and Freezer Litres: litres2way (12v & 240v). 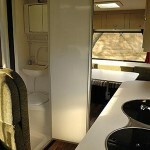 fridge / freezer (110L). 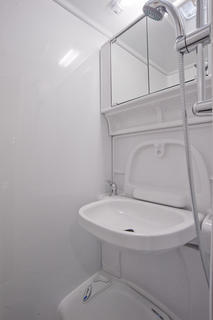 Linen w/ Bedding Included: Yes Linen, pillows, duvet, Bath Towel provided . 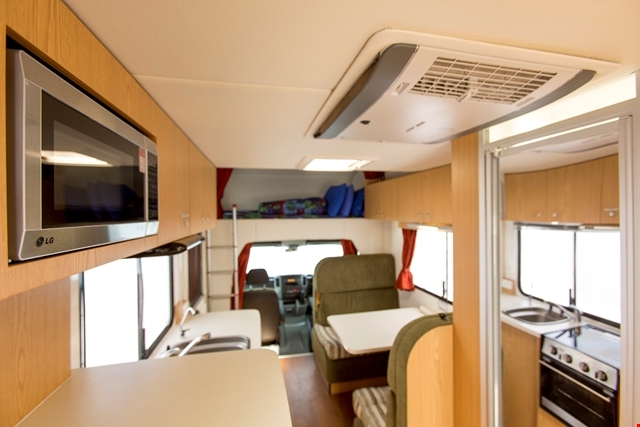 Heating: Yes Air Conditioning/Heating, Drivers Cabin. 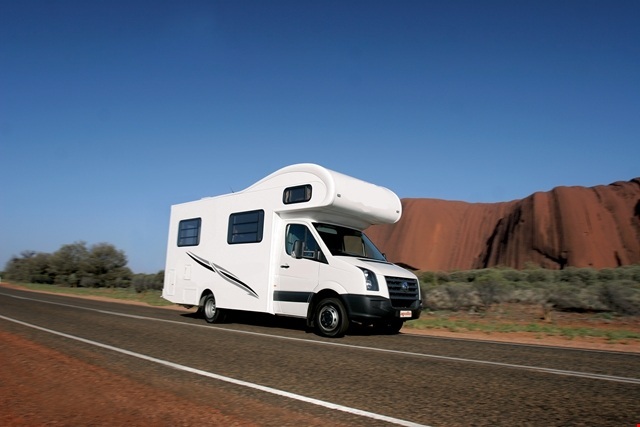 Fuel: Diesel Petrol Tank: 80 litres Fuel Consumption: 12(km per litre)12 litres per 100km. 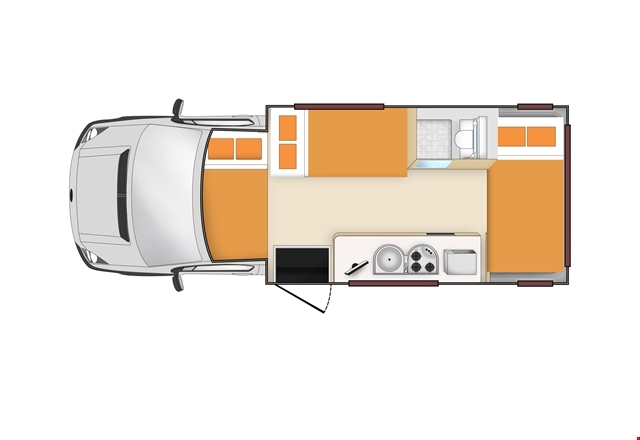 Age: 2015 to 2017 Volkswagen. 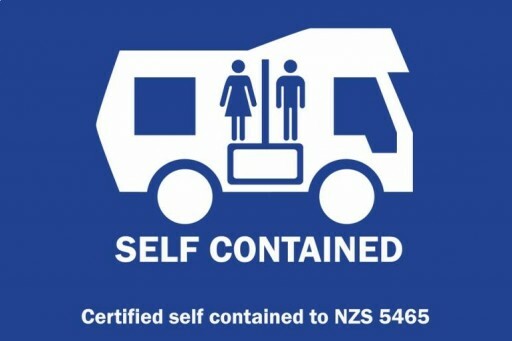 Ipod: None. 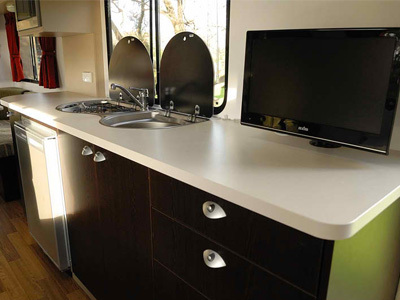 DVD: Yes Colour TV, flat screen. 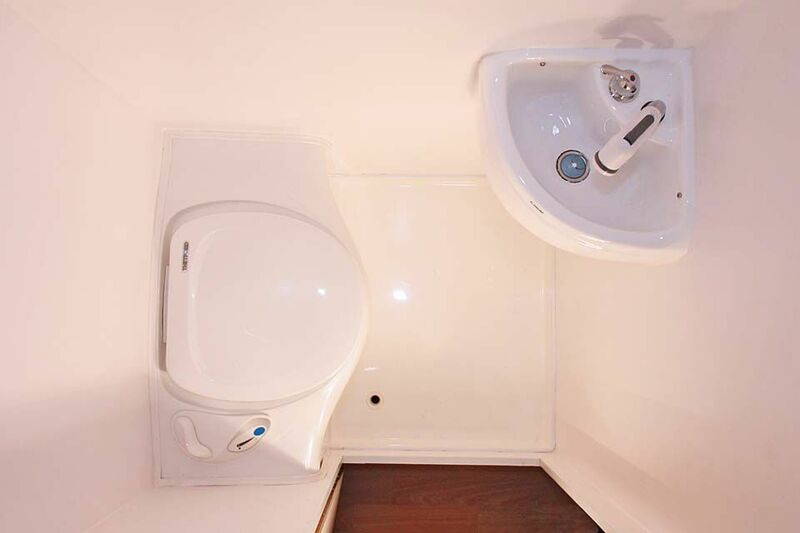 Toilet: Yes. 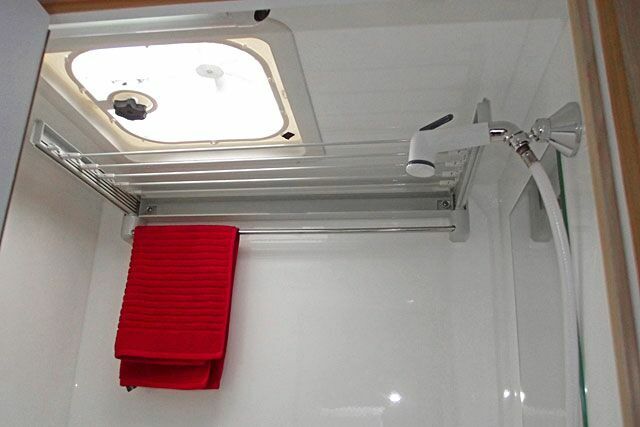 Shower: Cubicle Shower with handbasin, cassette flush toilet. 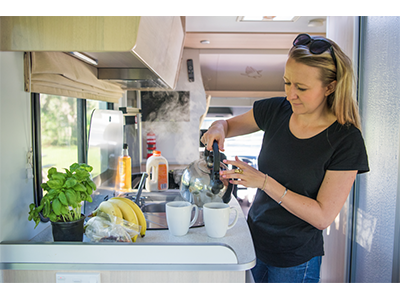 Water: 100 litres Hot Water: Yes Water Filter: Yes Hot & Cold Pressurised Water. 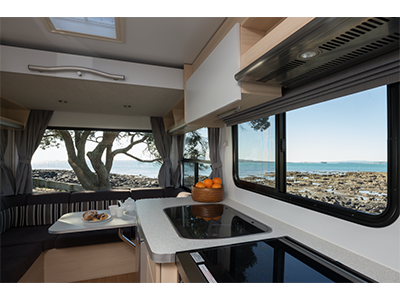 Flyscreens: Yes Privacy Screens: Yes Awning: Yes Fitted to all opening windows in the living area and also the living area door, Side awning. 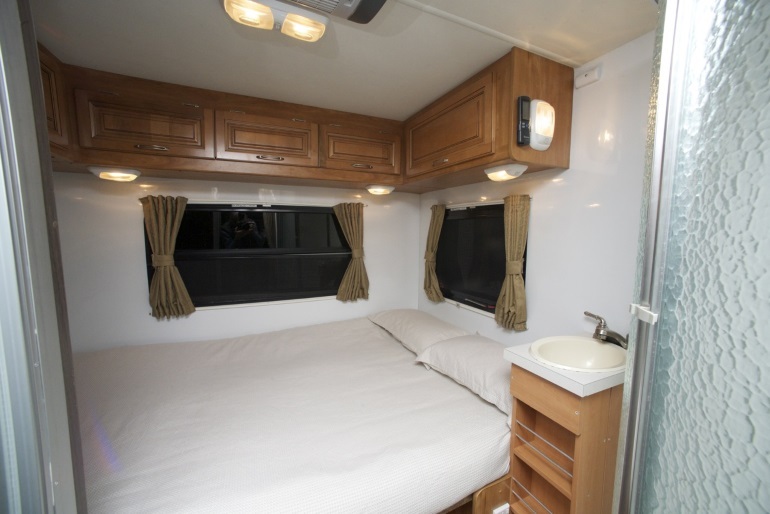 Linen w/ Bedding Included: Yes Linen, pillows, duvet, Bath Towel provided.